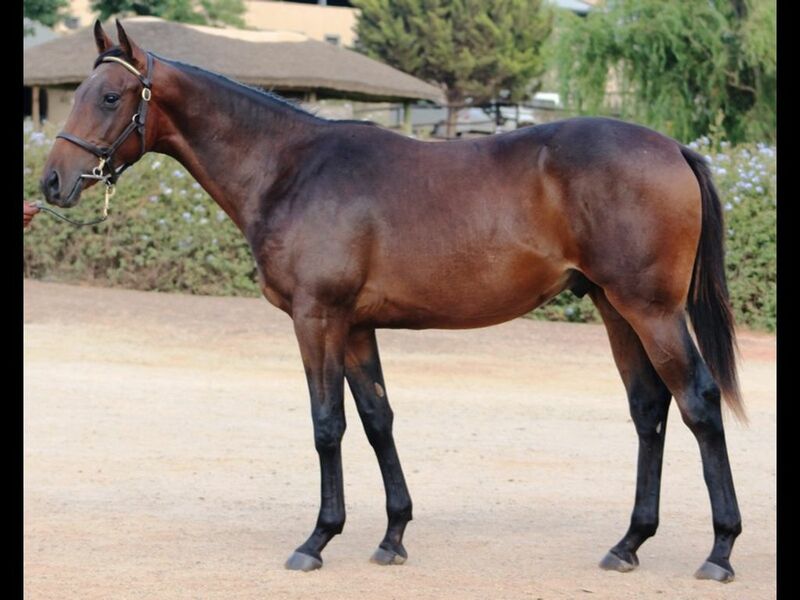 Half-Sister to Crowd Pleaser (2013.c. 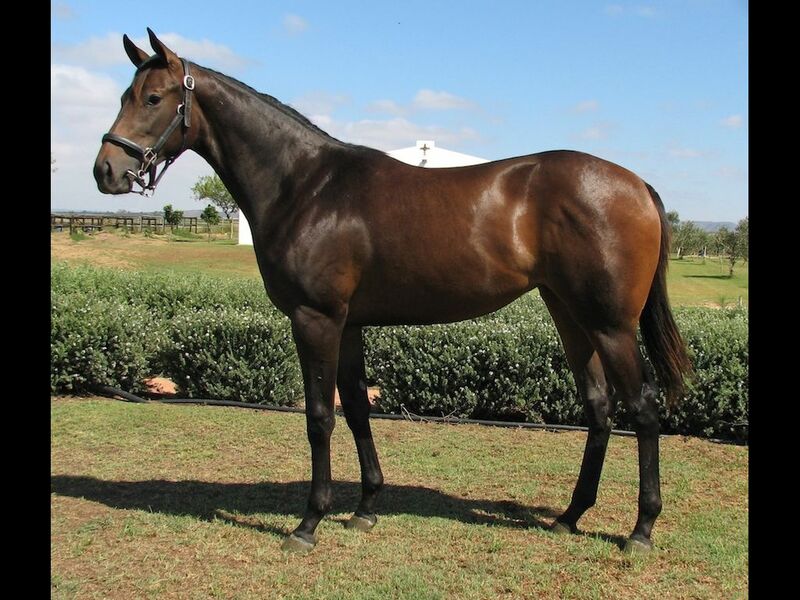 by Captain Al-Happy Jean, by Charismatic-Jeanie's Gift) - 1st Greyville Debbie Constant H.
Half-Brother to Hieronymus (2013.c. 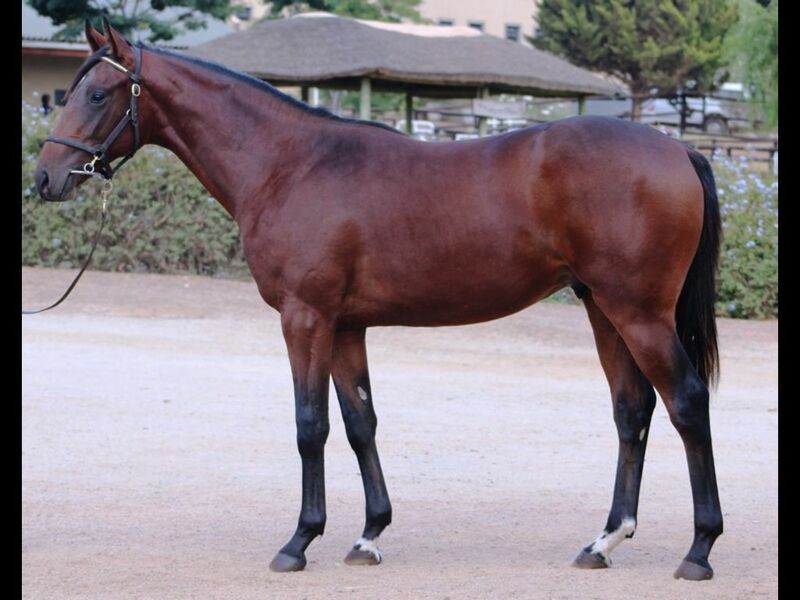 by Judpot-Heraclea, by Groom Dancer-Tamassos) - 2nd Turffontein St. Patrick's Day in March Book Now Graduation P.
Closely related to Patchouli Queen (2013.f. 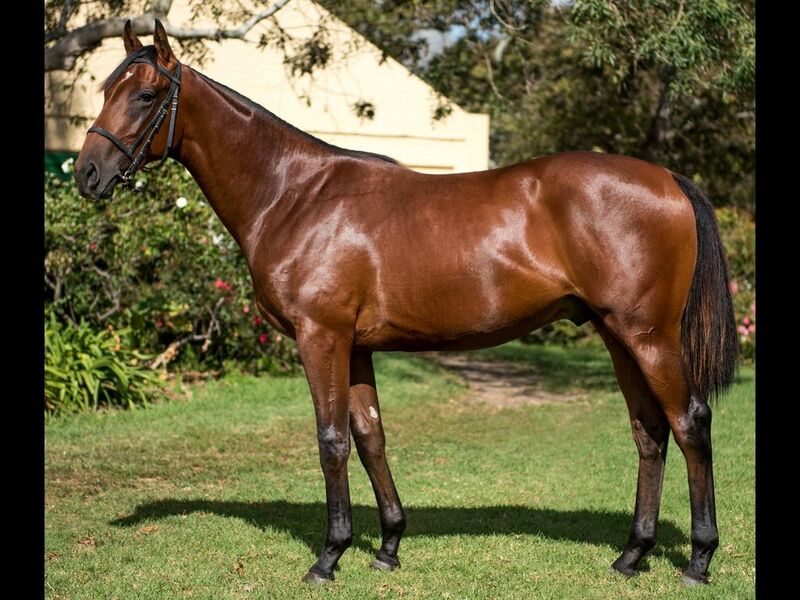 by Elusive Fort-Patchouli, by Spectrum-I've Got It) - 1st Turffontein Tab Maiden P.
Half-Sister to Zanzibar Beat (2012.f. 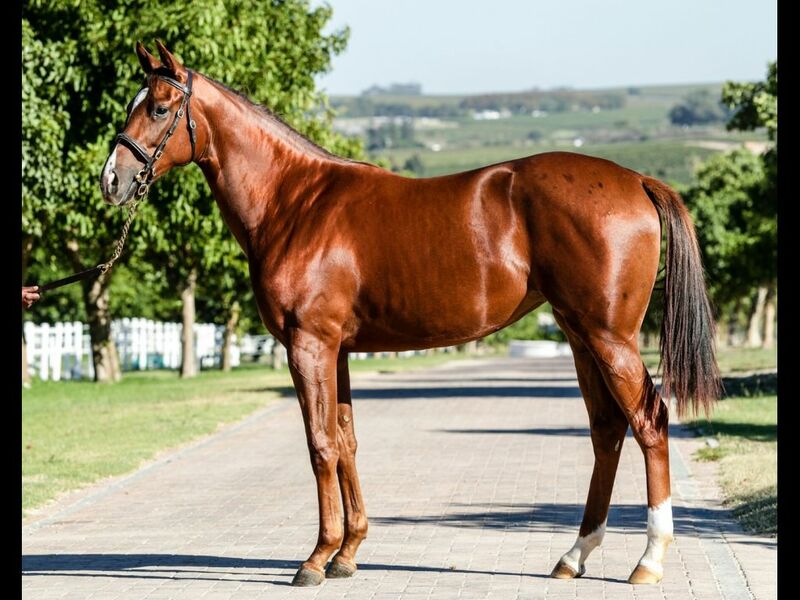 by Argonaut-Jahazi, by Green Desert-Urgent Liaison) - 1st Fairview Racing Association H., 3rd Fairview Next Racemeeting Friday H.
Half-Sister to Inyanga (2012.f. 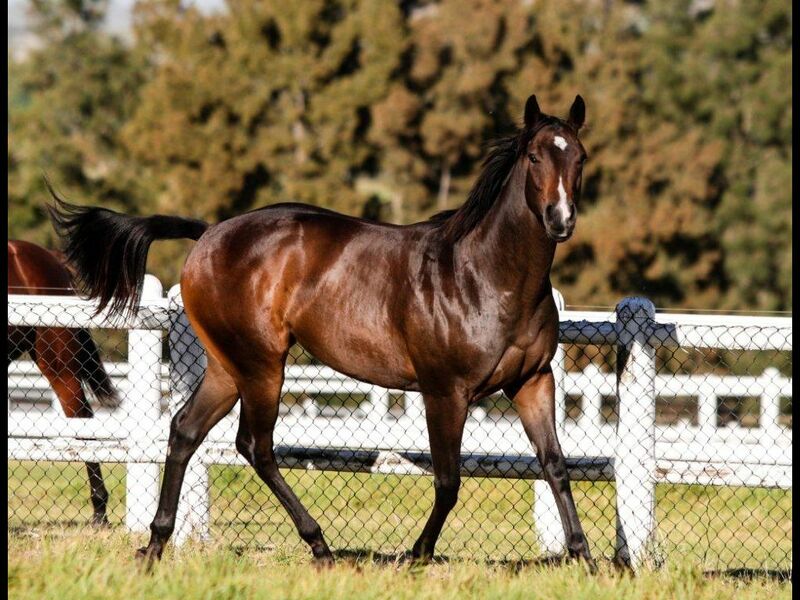 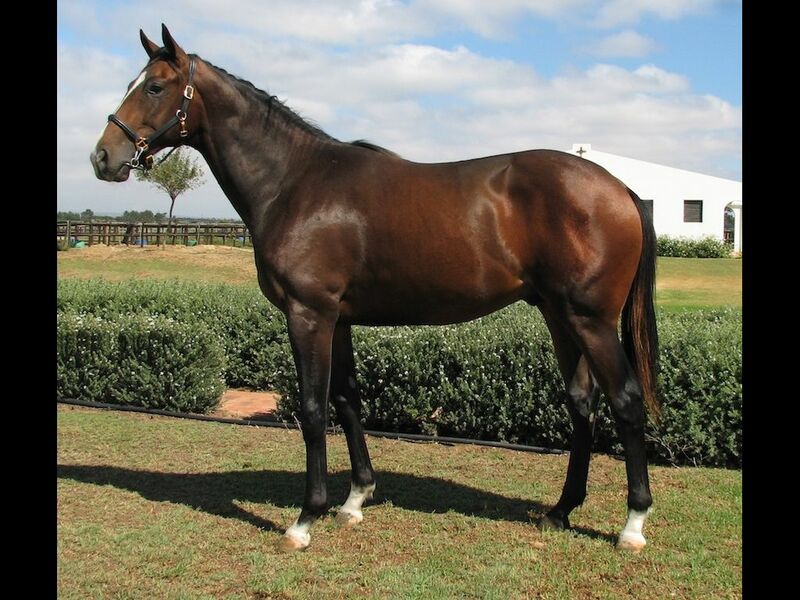 by Elusive Fort-Kruger Park, by Al Mufti-Hancock Park) - 1st Vaal TC Next Vaal Race Meeting is Thursday 09 Mar H.
Half-Brother to Dancing Rebel (2013.c. 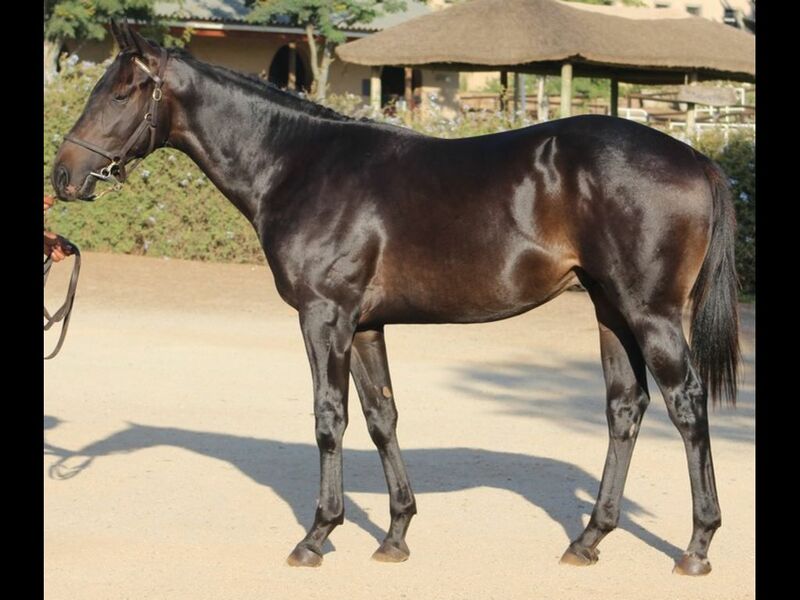 by Rebel King-Kwela-Kwela, by Muhtafal-Siren Song) - 3rd Turffontein Classic Day in April Maiden P.
Sister to Lauren of Rochelle (2013.g. 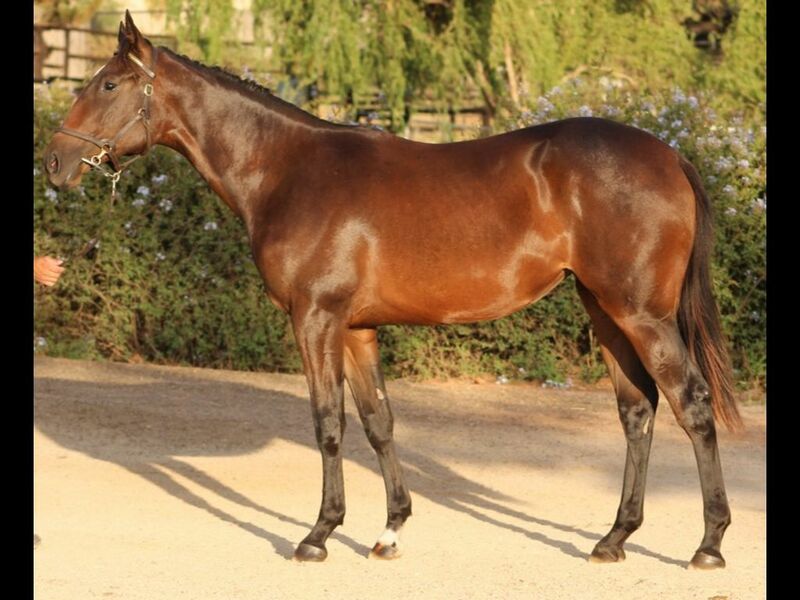 by Rock of Rochelle-Lauren B', by Elliodor-Jubilee Garden) - 2nd Kenilworth Kinney's Maiden P.
Half-Brother to Russian Dream (2013.f. 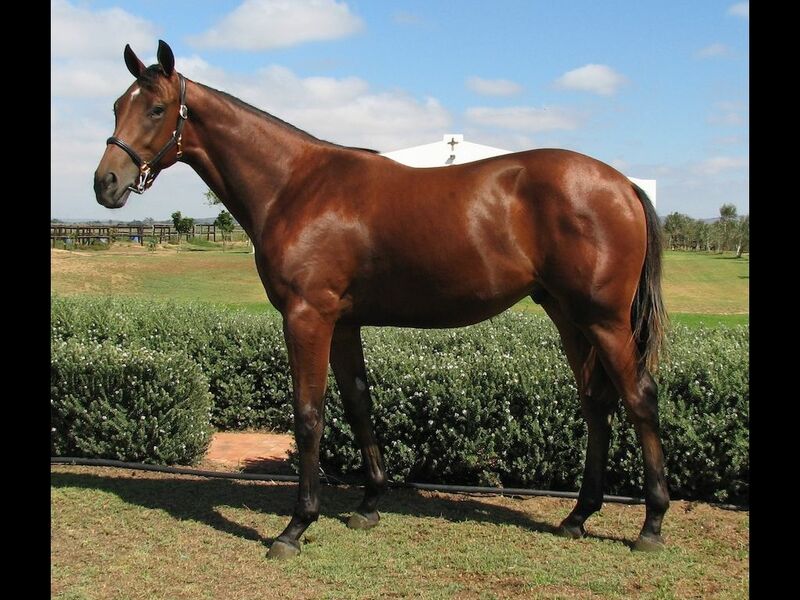 by Var-Lena, by Woodman-More Than Willing) - 1st Griqualand Welcome to Flamingo Park Maiden P., 3rd Griqualand Next Race Meeting is Monday Maiden P.
Half-Brother to Over Sure (2013.c. 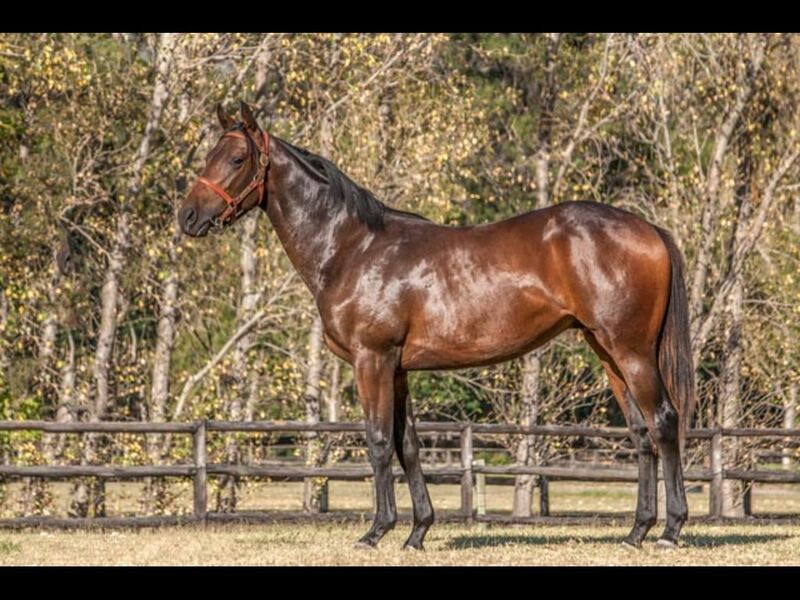 by Mogok-Little Jet, by Jet Master-Jezebel's Wings) - 1st Scottsville Blinkers Bar H., 3rd Greyville Gary Scott H.
Half-Sister to Finn's Rebel (2013.g. 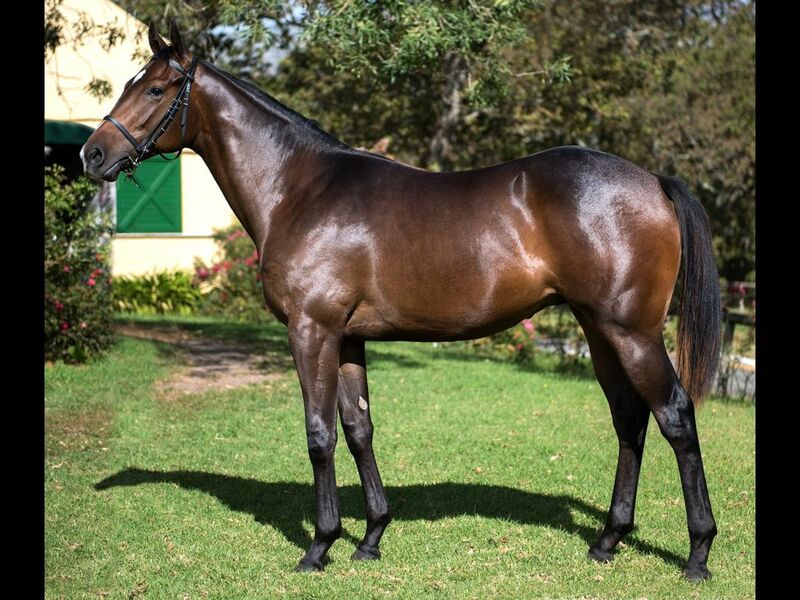 by Rebel King-Maclaine, by Var-Ribbon Dancer) - 1st Kenilworth Racing Association Maiden P., 3rd Kenilworth Vasco Prix du Cap in February Maiden P.
From the same family as Fashion Talk (2012.f. 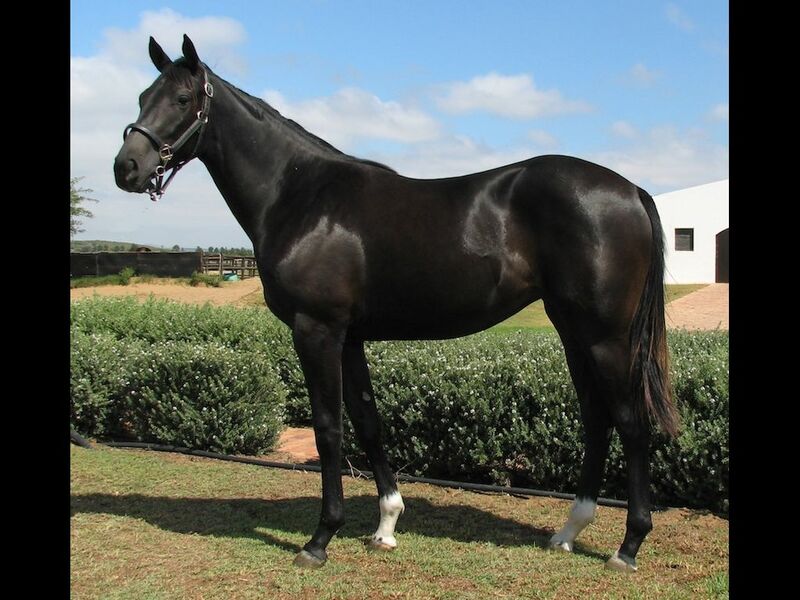 by A. P. Answer-Vogue, by Model Man-Thousand Nights) - 1st Greyville Deborah Thom H., 1st Greyville RCA Marketing H.
Closely related to Captain of Rock (2013.c. 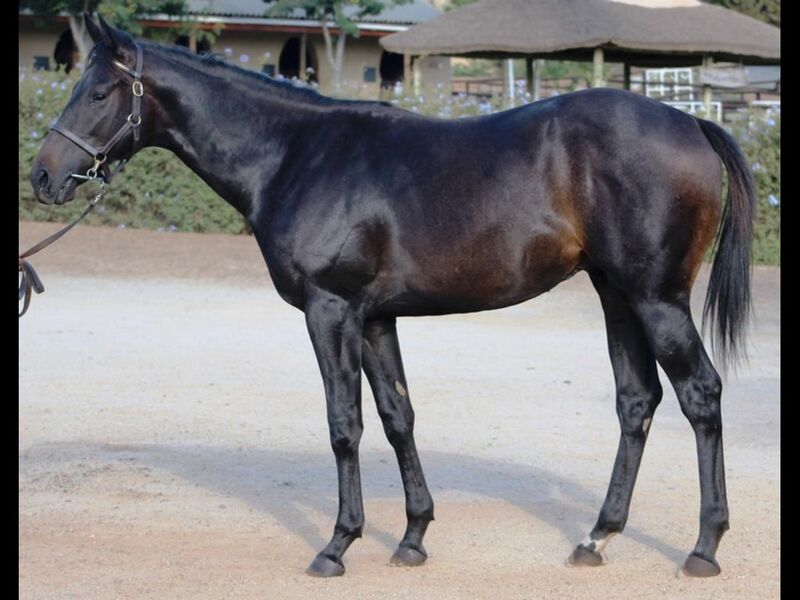 by Seventh Rock-Captain's Emblem, by Captain Al-Main Emblem) - 1st Greyville Durban View Restaurant H.
Closely related to He's a Given (2011.g. 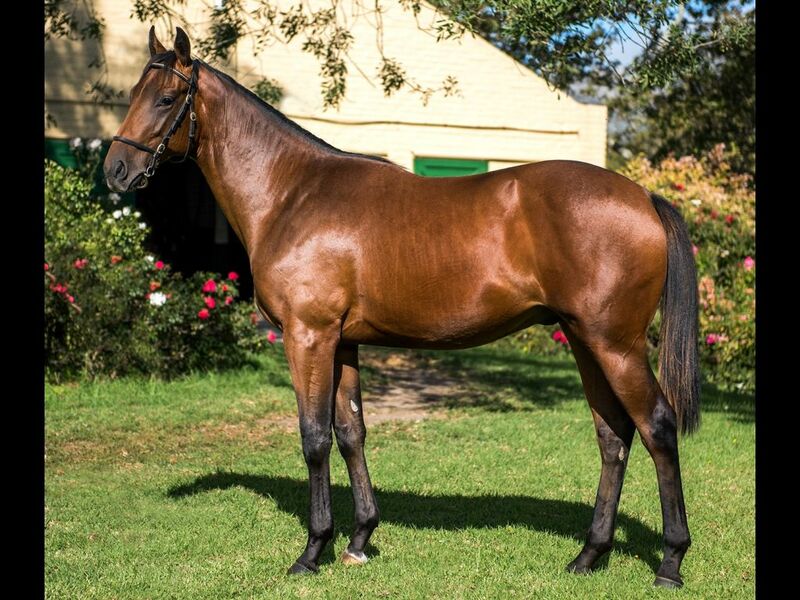 by Any Given Saturday-She's Red Hot, by Red Ransom-Our Dizzy Raine) - 1st ATC (Warwick Farm) Schweppes H., 1st ATC (Warwick Farm) TAB Rewards H.
From the same family as Russian Dream (2013.f. 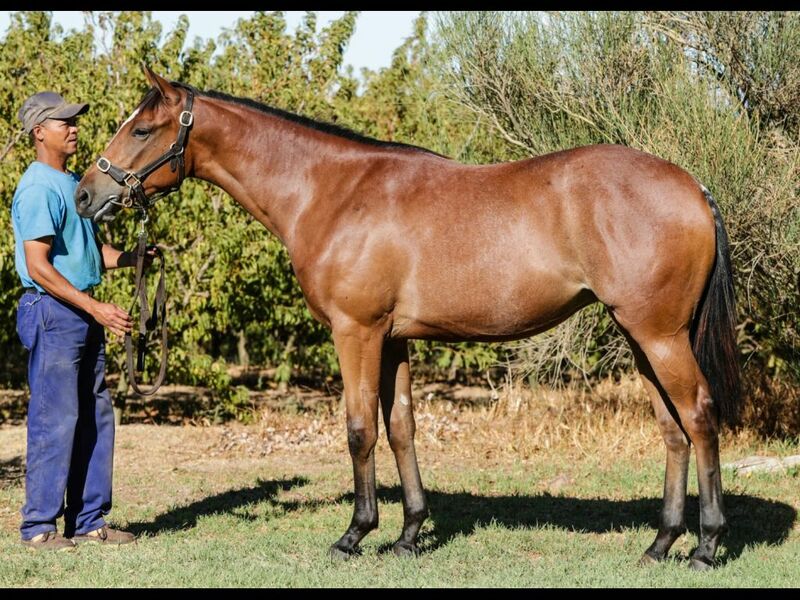 by Var-Lena, by Woodman-More Than Willing) - 1st Griqualand Welcome to Flamingo Park Maiden P.
From the same family as On That Note (2013.f. 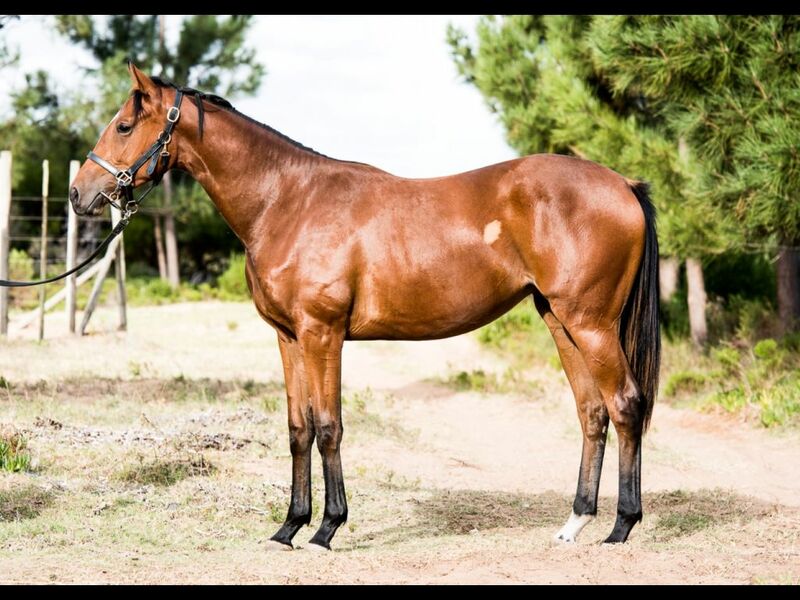 by Tiger Ridge-Slew's Review, by Slew o' Gold-Revidere) - 1st Fairview Maiden P.
From the same family as Frederick Fox (2011.c. 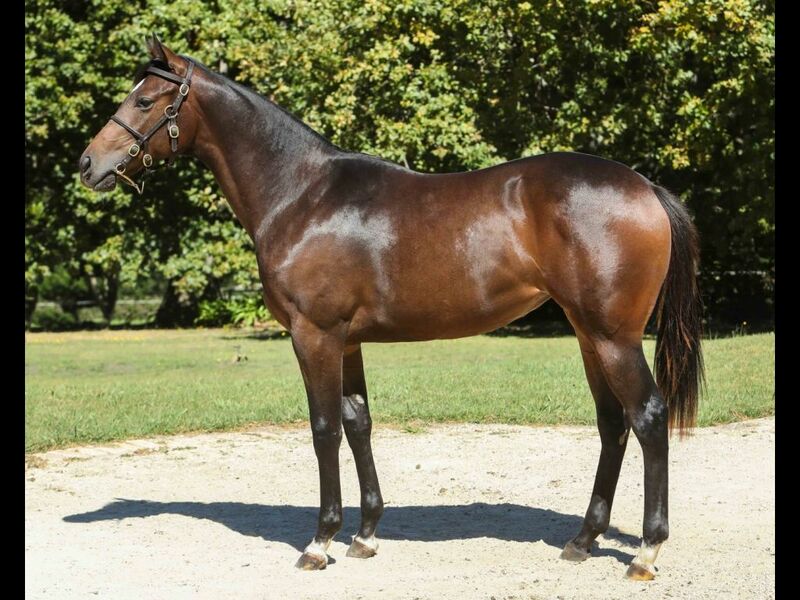 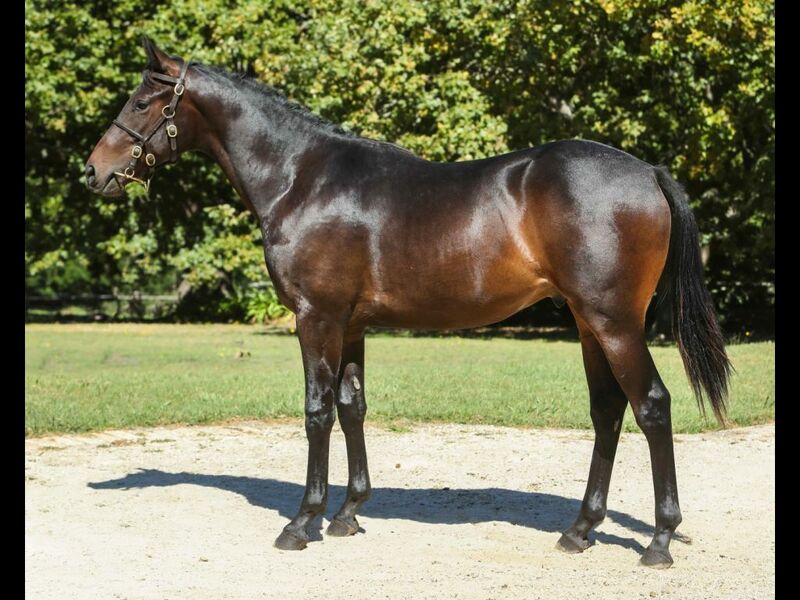 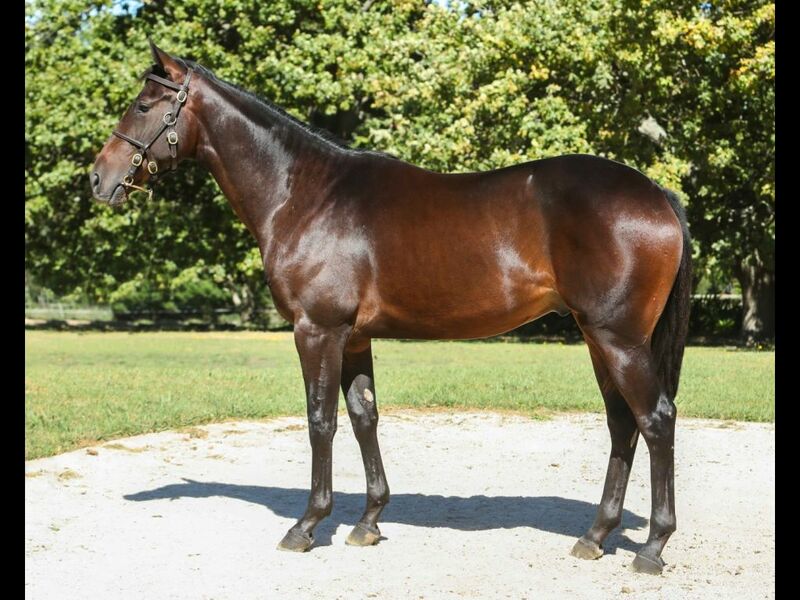 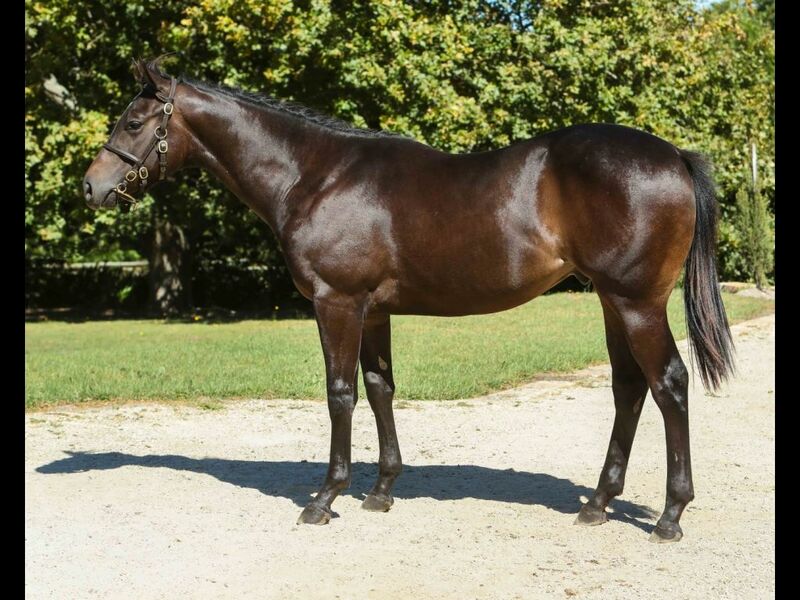 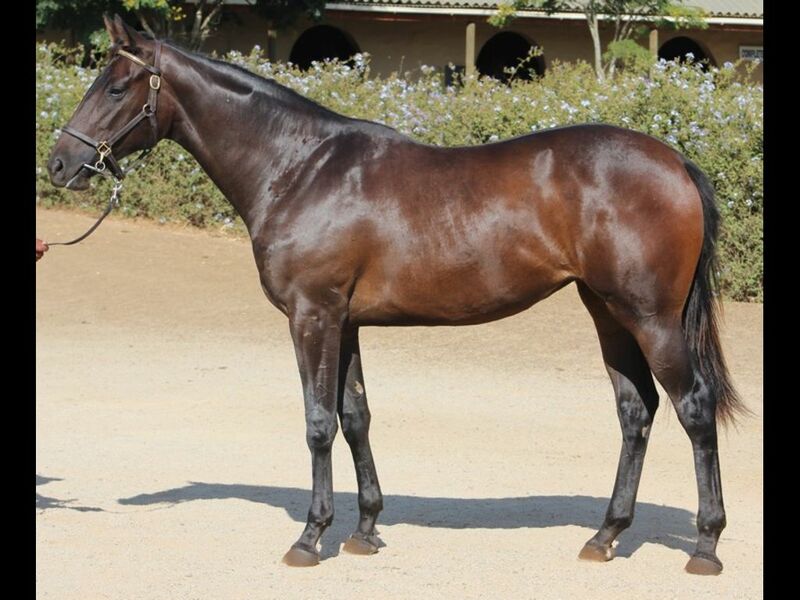 by Stage Call-Royal Fox, by Dominion Royale-Foxem) - 1st Fairview Racing Association H.
Brother to Daring Miss (2013.f. 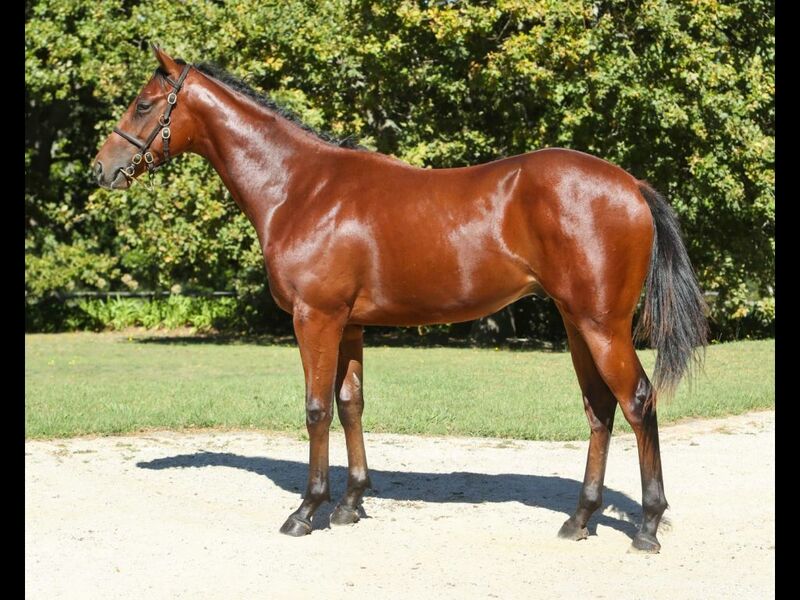 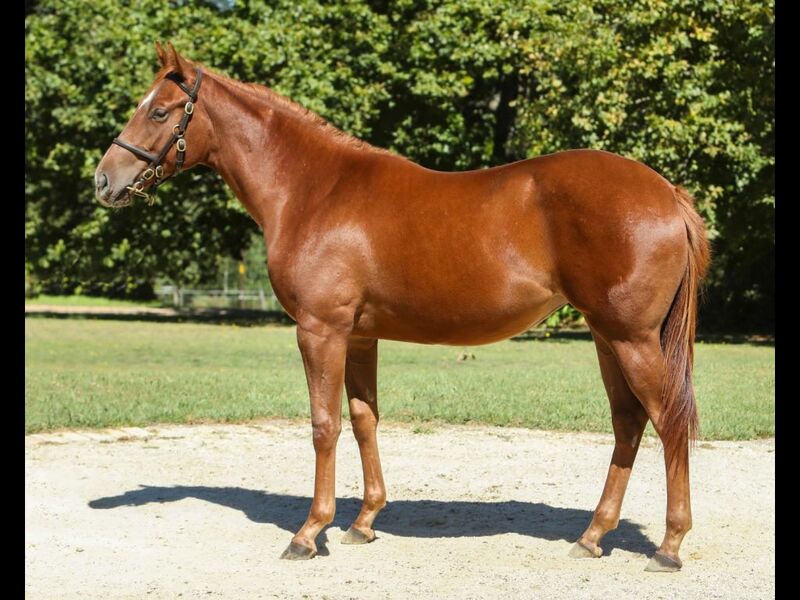 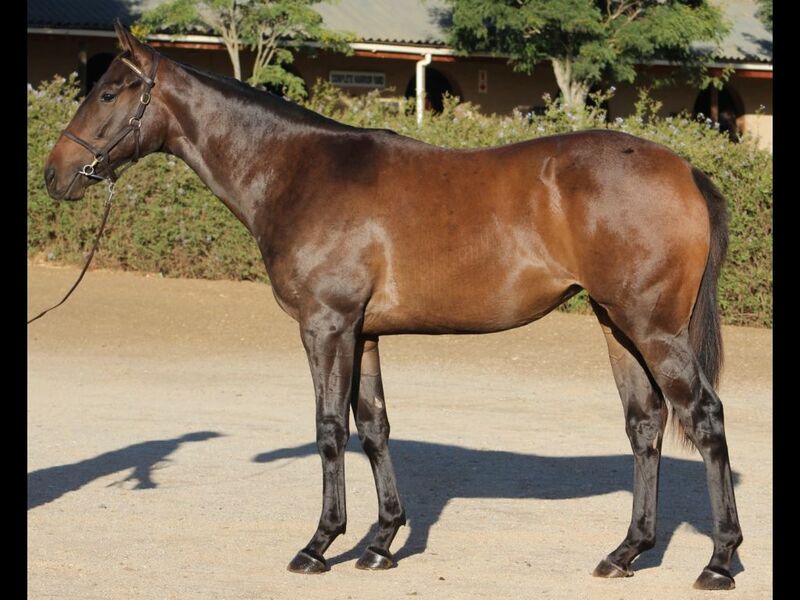 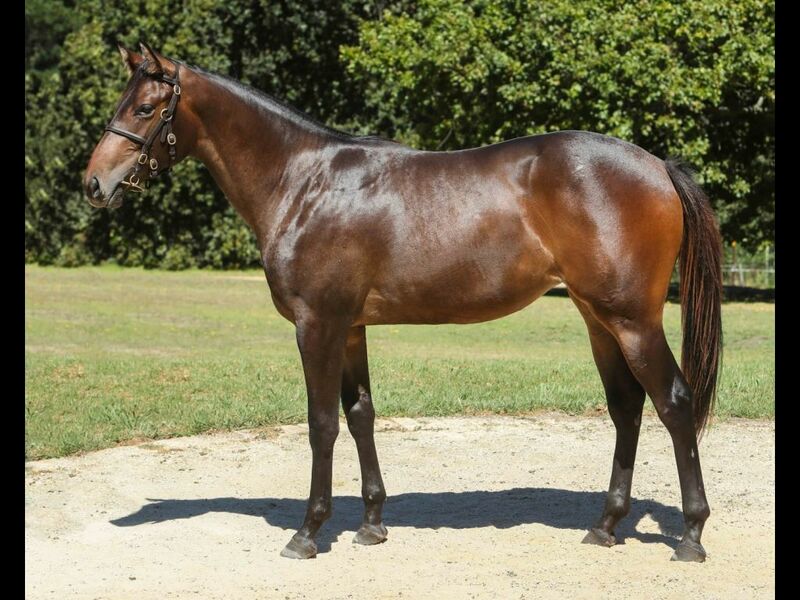 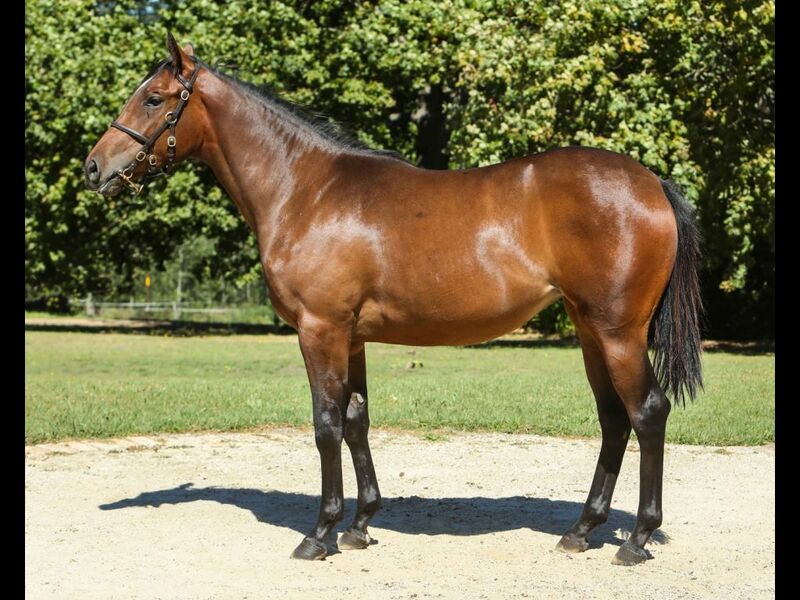 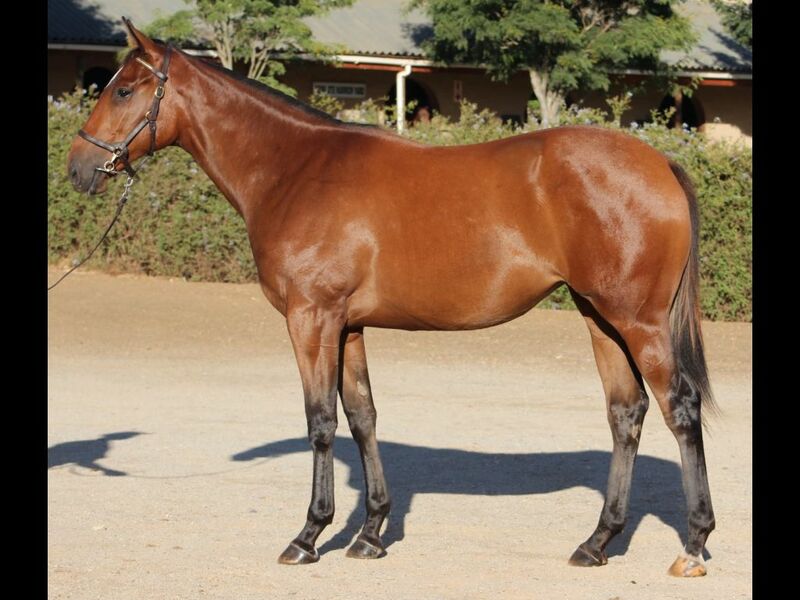 by Greys Inn-Misstobe, by Indigo Magic-Miss Tobin) - 2nd Kenilworth Kepu Trading Maiden P.
Half-Sister to Rebel Baron (2013.c. 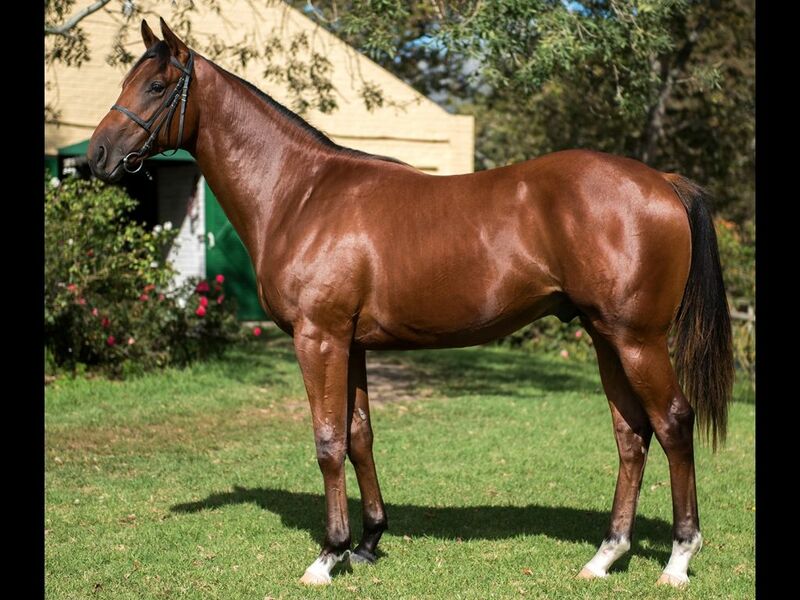 by Rebel King-Mon Dieu, by Saumarez-Shiver My Timbers) - 1st Vaal TC Prawn Fest Tickets at Webticket Maiden P., 2nd Turffontein Maiden P., 2nd Turffontein Classic Day in April Maiden P.
Out of a sibling to Shukamisa (2013.c. 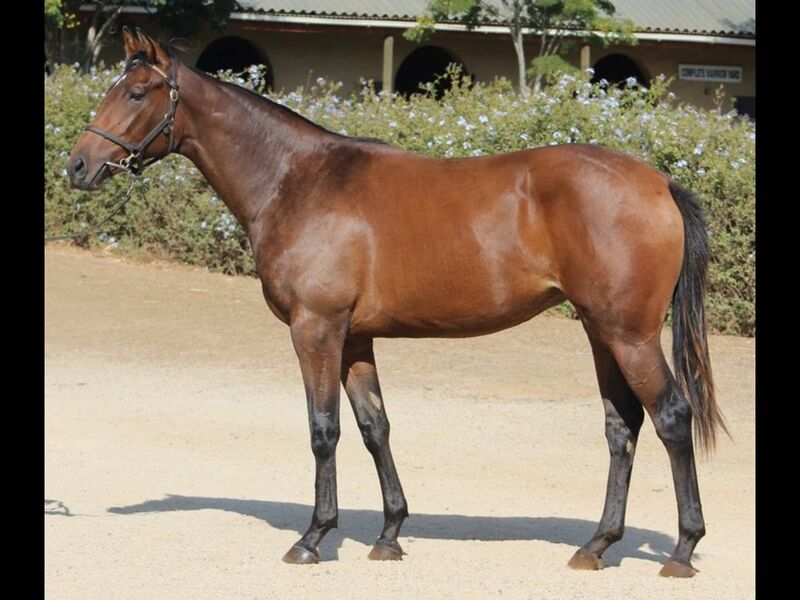 by Silvano-Shiver My Timbers, by Cordoba-Riding Light) - 1st Turffontein Wealth Associates SA H.
Half-Sister to Mystery King (2013.g. 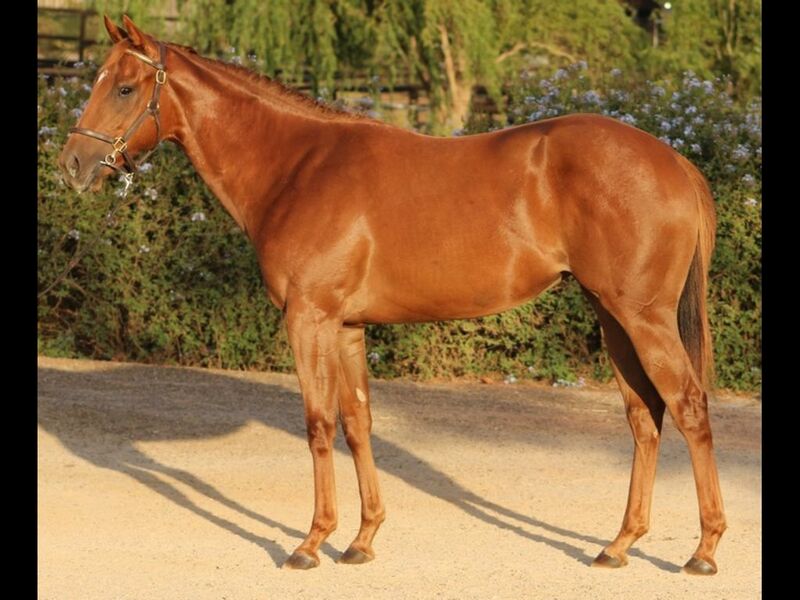 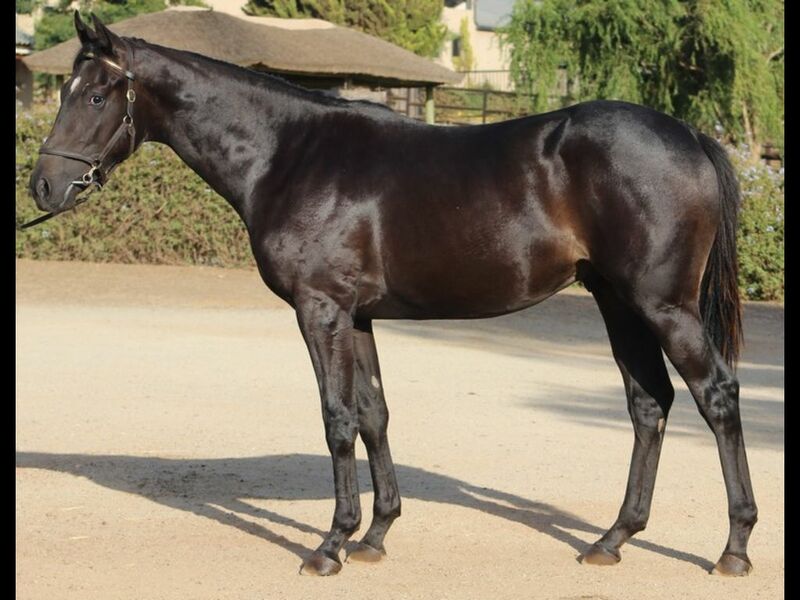 by Rebel King-Myst, by Model Man-That's Wonderful) - 3rd Fairview Maiden P.
Sister to La Bella Mia (2014.f. 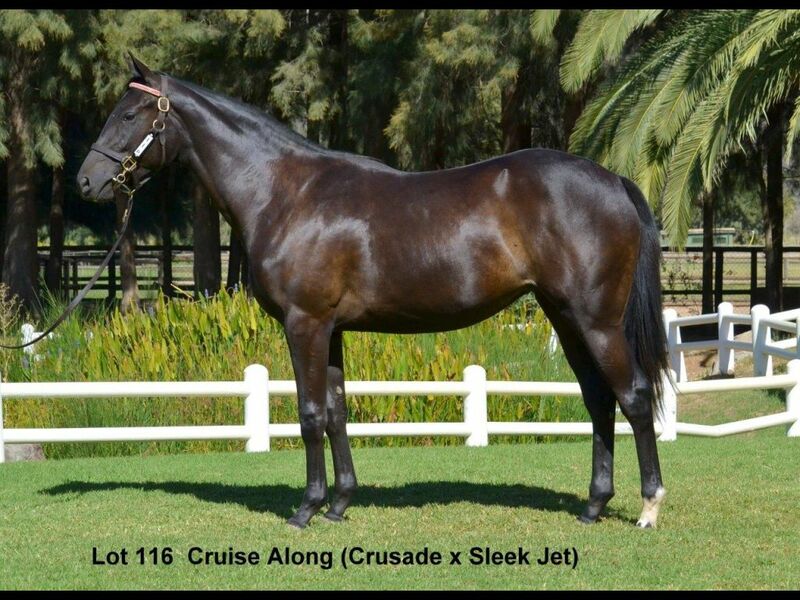 by Gimmethegreenlight-Mysterious Jet, by Jet Master-Roman Goddess) - 1st Turffontein Welcome to the Joburg Prawn Fest Maiden Juvenile P., 3rd Vaal TC Guineas Day in March Maiden Juvenile P.
Half-Brother to Prince of War (2013.g. 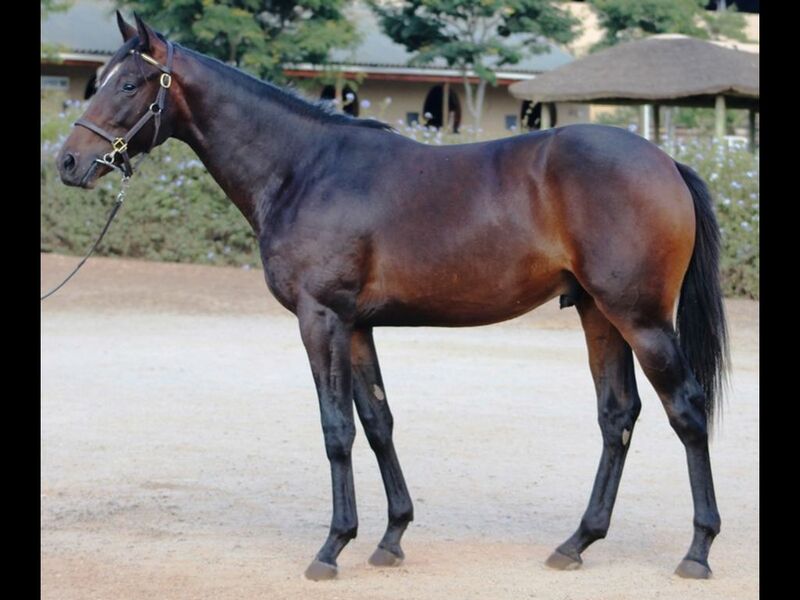 by Great Britain-National Belle, by National Assembly-Bella Hella) - 3rd Turffontein Pick 6 Time Maiden P.
Half-Brother to Grand Opera (2011.c. 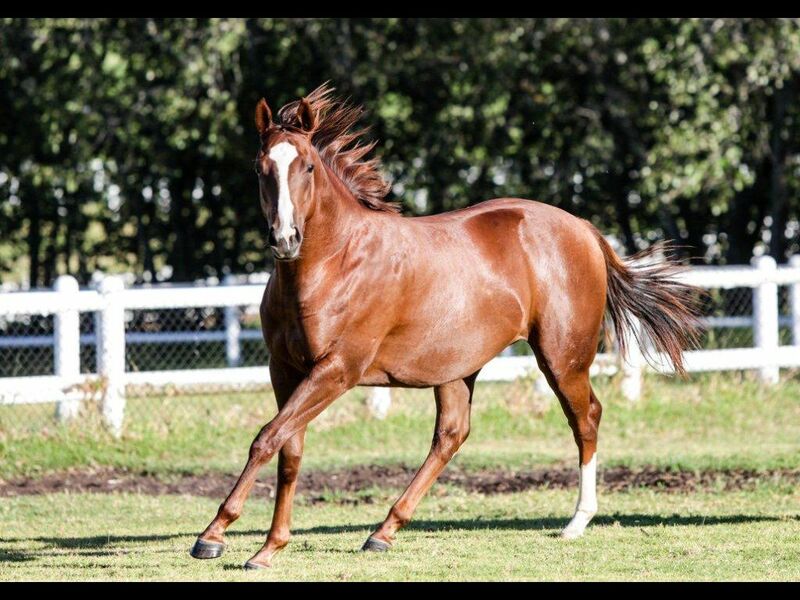 by Silvano-Oasis Song, by Selkirk-Desert Serenade) - 1st Ngong Britam General Insurance H., 1st Ngong Mwea National Reserve H.
Half-Brother to Manouche (2013.c. 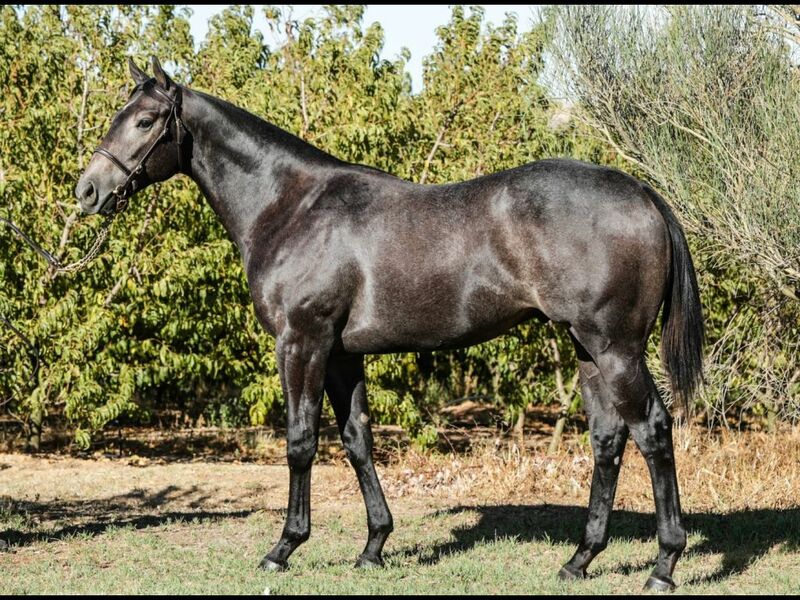 by Gitano Hernando-Paris at Night, by In the Wings-Rigoureuse) - 1st Scottsville Itsarush.co.za Maiden P.
Half-Brother to Peonie Rock (2012.f. 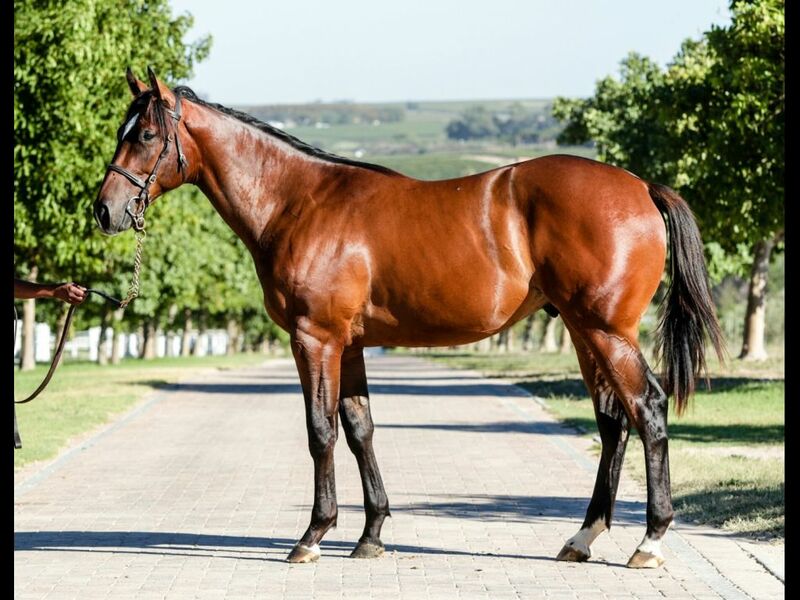 by Rock of Rochelle-Peonie Paradise, by Badger's Drift-Peonie Princess) - 2nd Fairview Book a Table at Our Next Raceday H.
Half-Brother to Queen's Jet (2011.f. 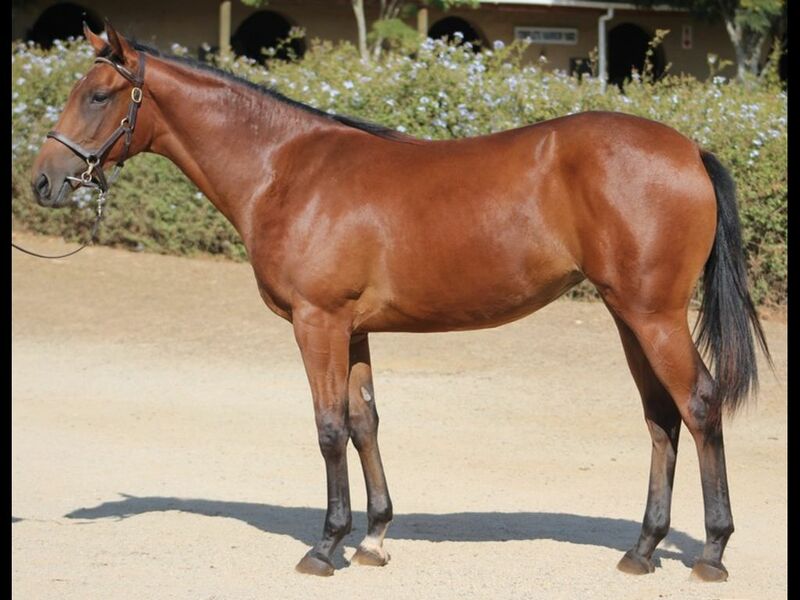 by Jet Master-Princess Isabella, by Personal Hope-Singing Lake) - 2nd Vaal TC Itsarush.co.za H.
Half-Brother to Karatage (2013.f. 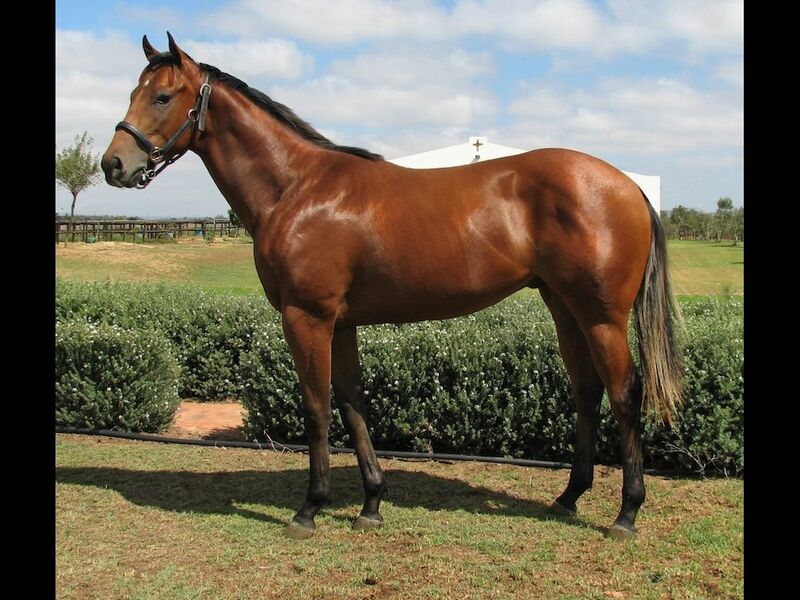 by Kahal-Refined Gold, by Rich Man's Gold-Lorgnette) - 1st Greyville Blinkers Bar H.
Half-Sister to Rebuked (2012.c. 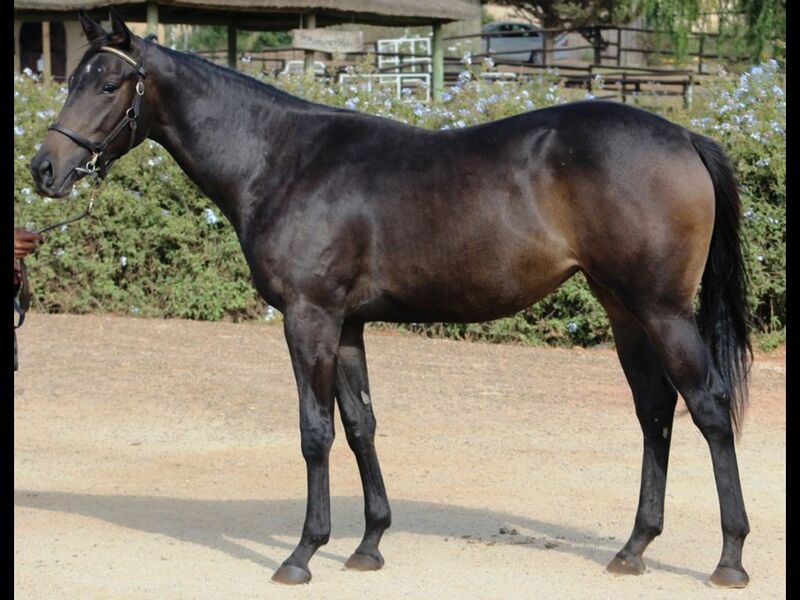 by Albert Hall-Rosetta Stone, by Jet Master-Bacio) - 3rd Vaal TC Night Racing in Feb H.
Half-Sister to Flower Blue (2013.c. 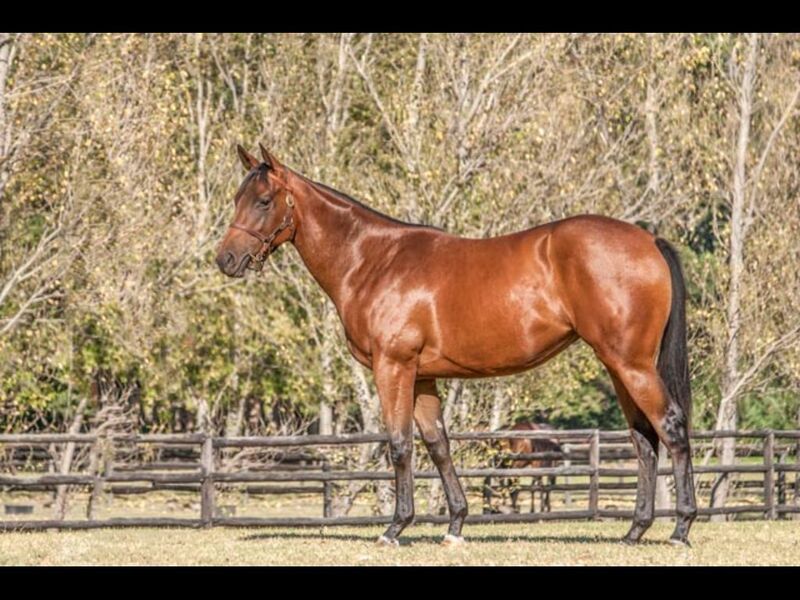 by National Emblem-Rosetta Stone, by Jet Master-Bacio) - 3rd Greyville Choice Carriers Maiden P.
Out of a sibling to Royal Armour (2012.g. 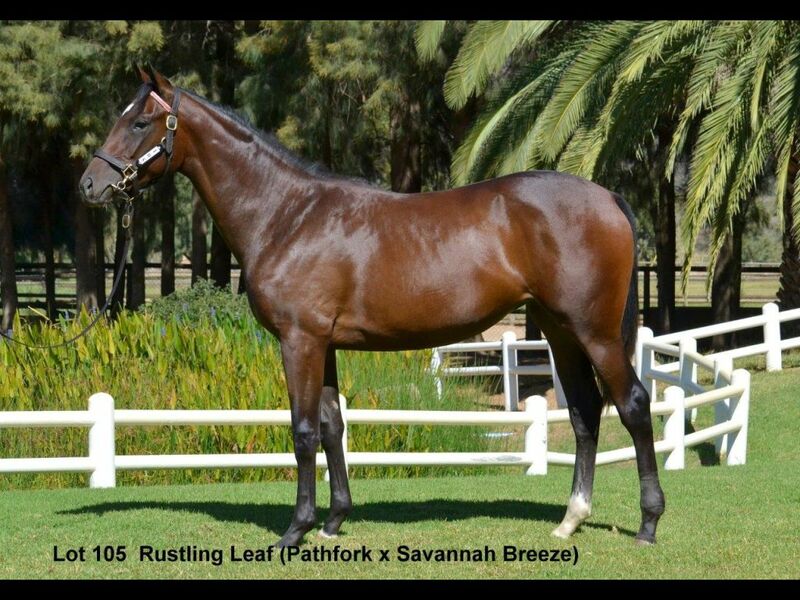 by Jay Peg-Royal Palm, by Fort Wood-Little Strike) - 1st Scottsville Natal Carbineers, Fever Tree S.
Half-Brother to The Money Man (2012.c. 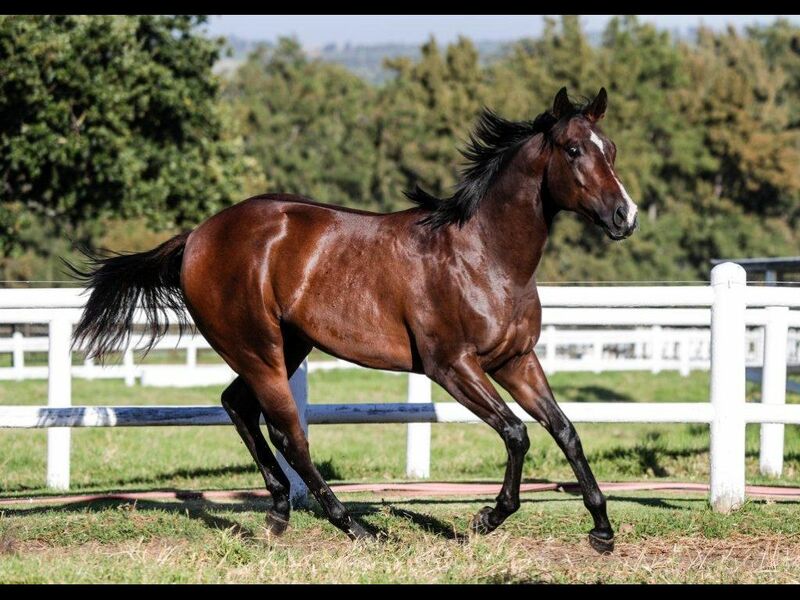 by Miesque's Approval-Shadow Sport, by Sportsworld-Saratoga Shadow) - 2nd Greyville All to Come H., 3rd Greyville Farmers Agri-Care H.
Out of a sibling to Night Shadow (2011.c. 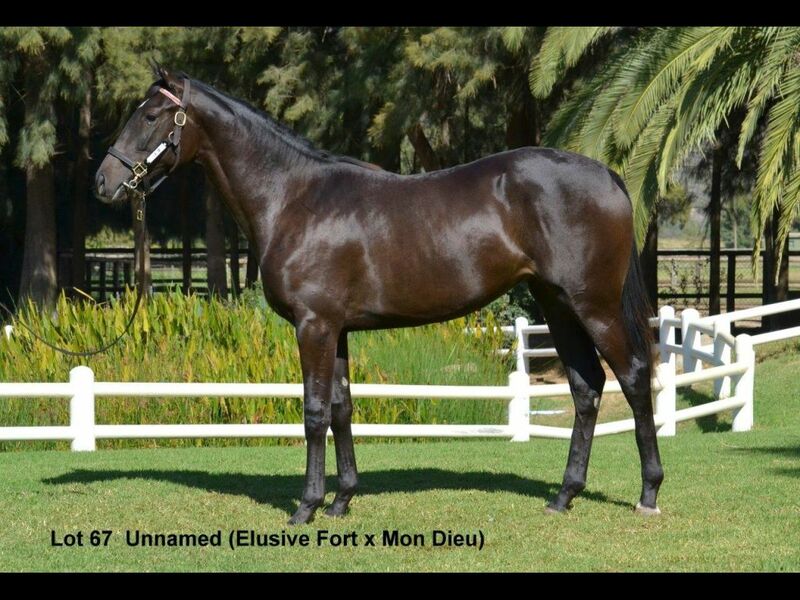 by Silvano-Saratoga Shadow, by Al Mufti-Saffron) - 1st Greyville Itsarush.co.za H.
Out of a sibling to Holly's Vision (2014.f. 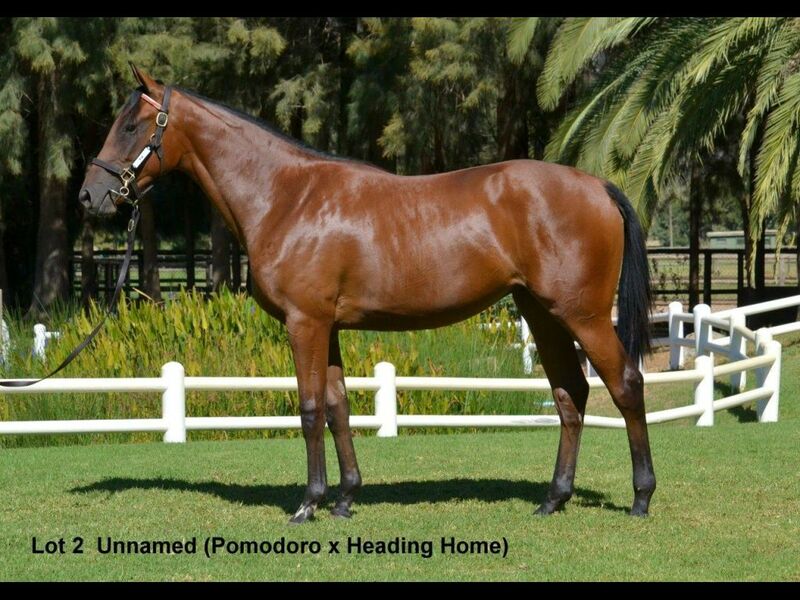 by Pathfork-Holly Wood, by Fort Wood-Capture the Wind) - 1st Greyville Download the Tabgold Information App Juvenile P.
Half-Sister to Supa-U (2012.f. 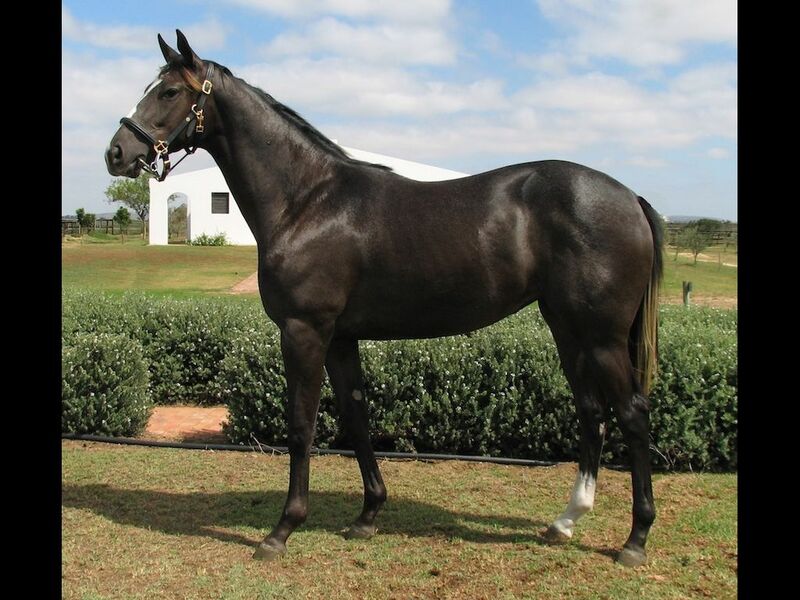 by Black Minnaloushe-Solar Voyager, by Captain Al-Solar Express) - 3rd Fairview Racing Association H.
Half-Sister to Streak (2011.c. 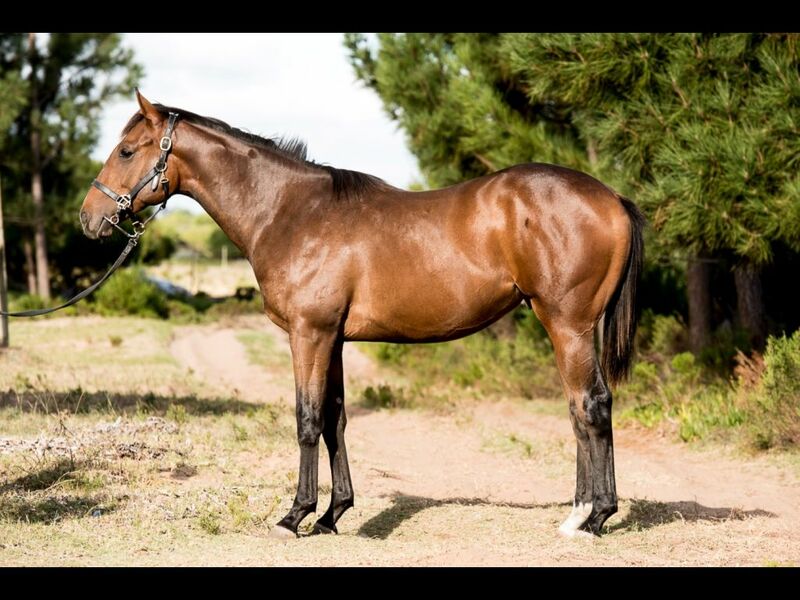 by Ideal World-Speedwell, by Strike Smartly-Veronica) - 3rd Fairview Racing Association H.
Out of a sibling to Captain's Vista (2012.c. 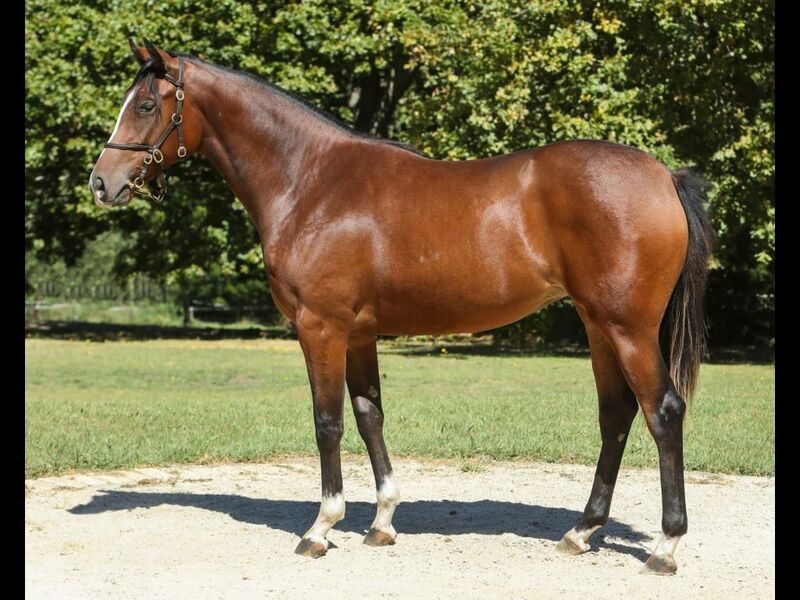 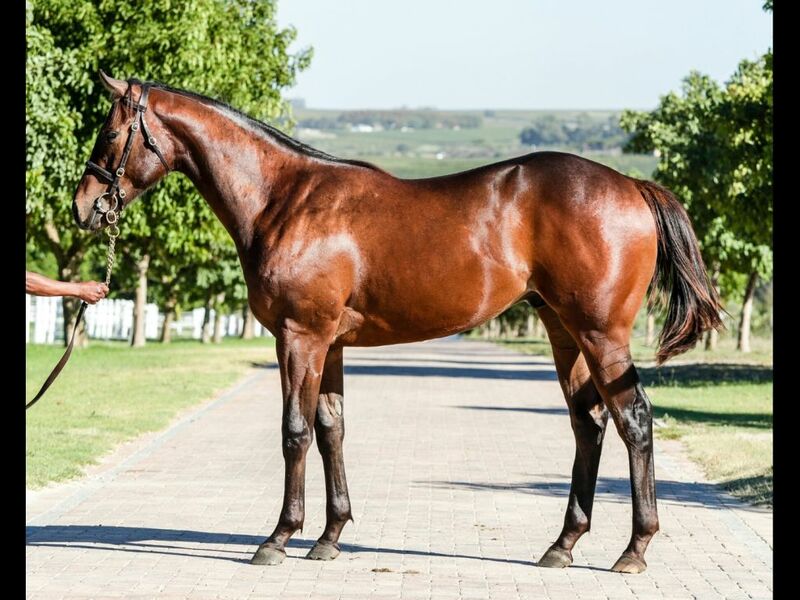 by Captain Al-Muthaiga, by Elliodor-Champagne Flirt) - 1st Fairview Racing Association H.
Half-Brother to Simply Scrumptious (2014.f. 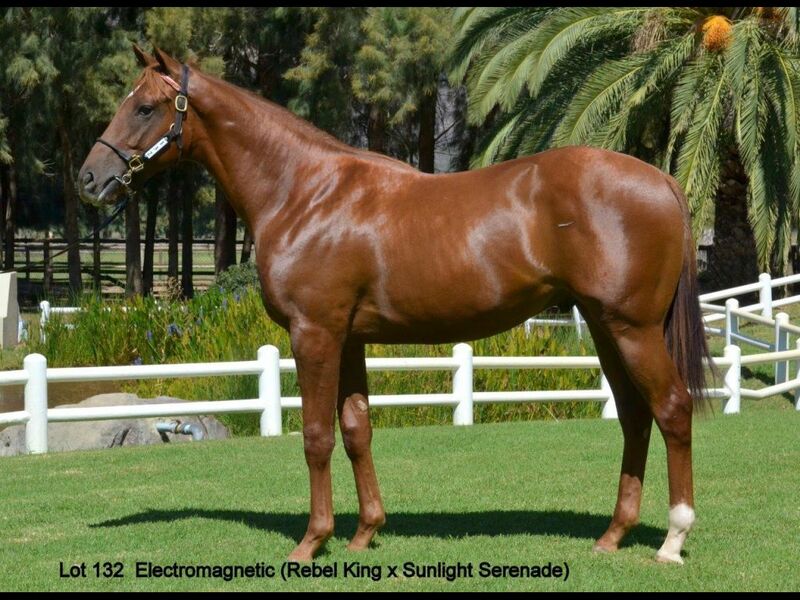 by Rebel King-Supalicious, by Deep Sleep-Honey Honey) - 3rd Scottsville Langalibalele 1873 Memorial Maiden Juvenile P.
Out of a sibling to Sea Bean (2013.f. 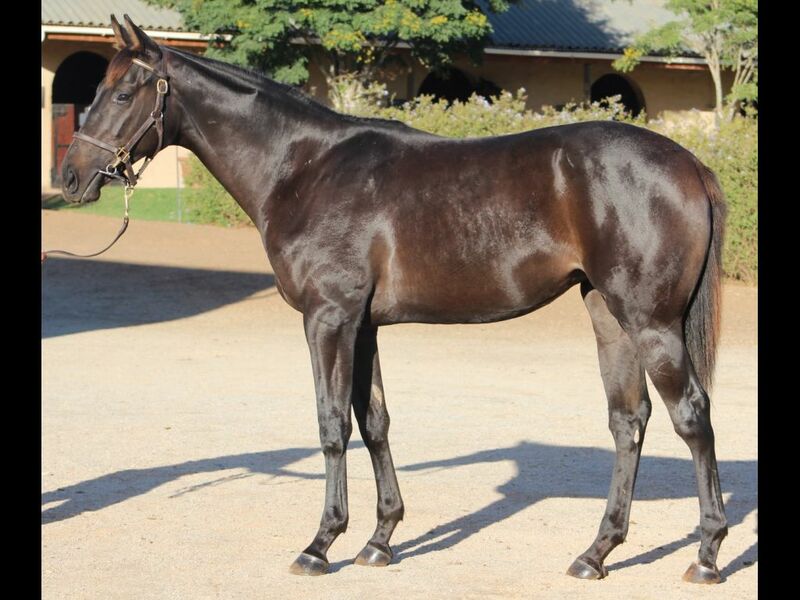 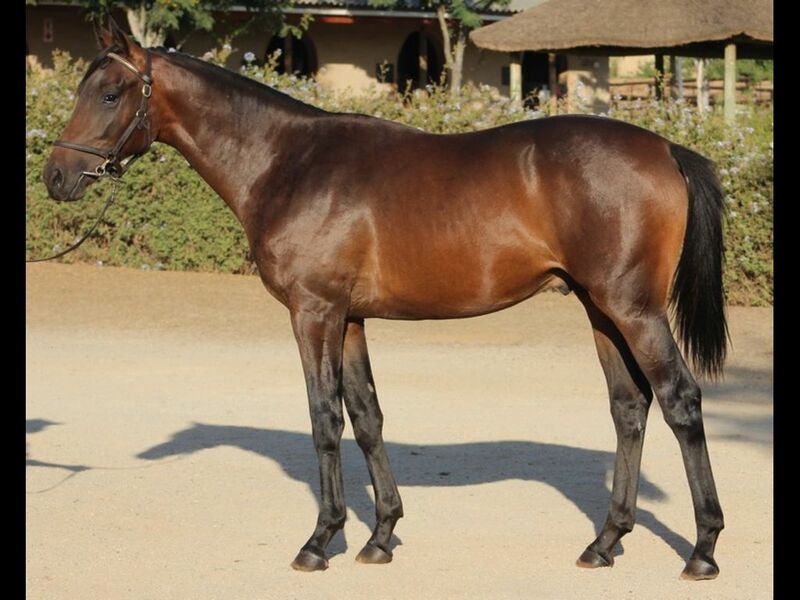 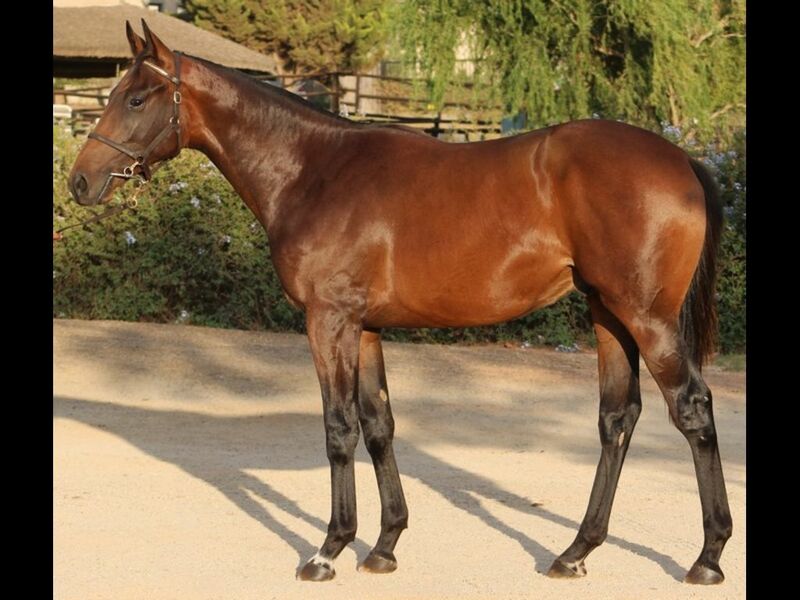 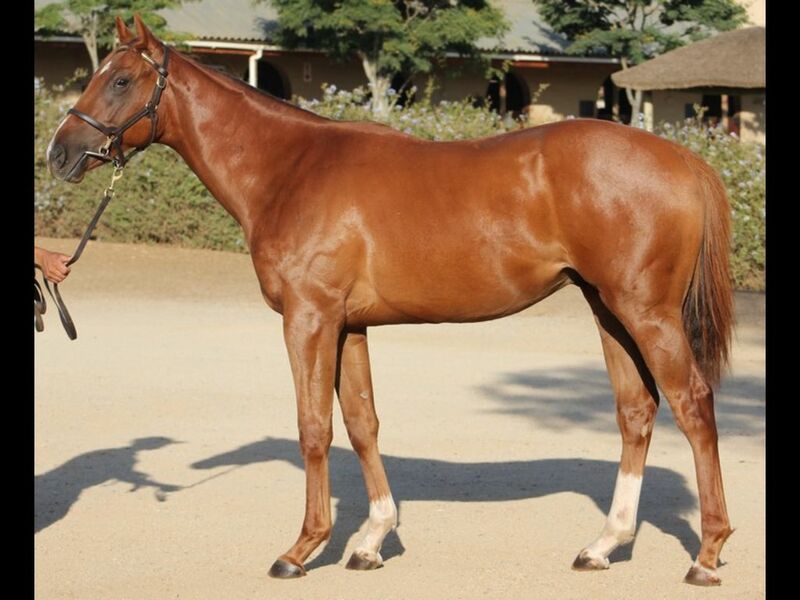 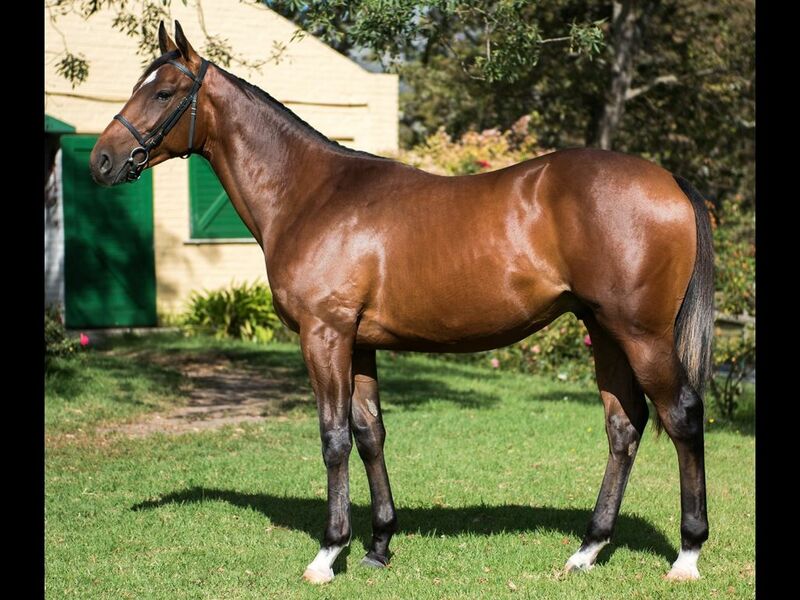 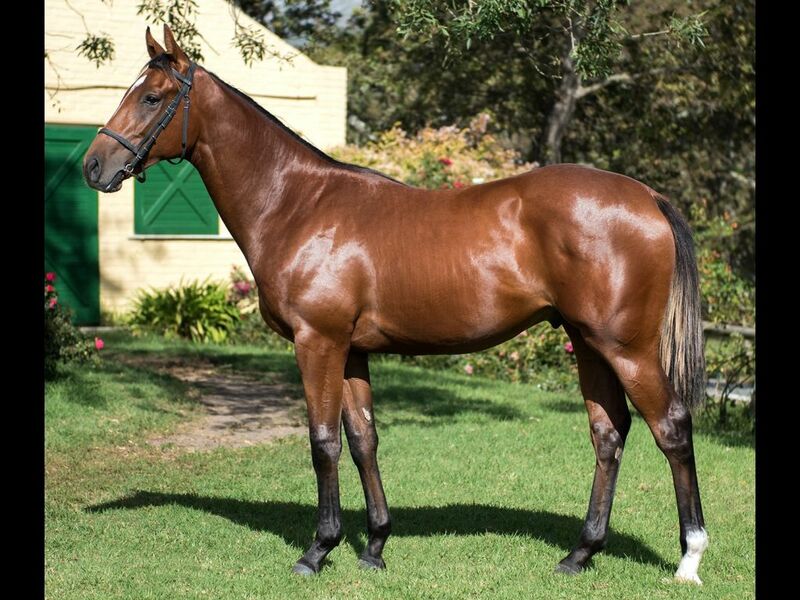 by Philanthropist-Love Jeddah, by Danehill-Fayfa) - 1st Vaal TC Maiden P.
From the same family as The Dom (2012.g. 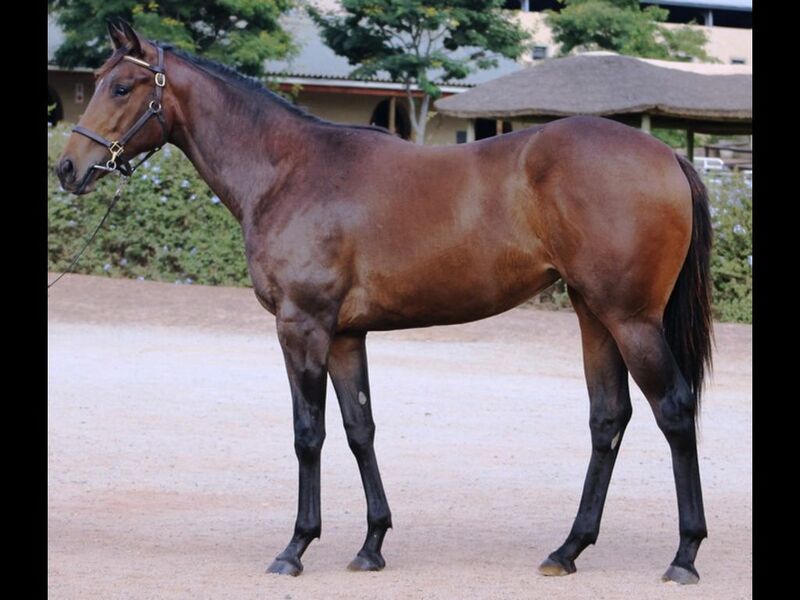 by Swiss Ace-Joiya, by Stravinsky-Doduo) - 1st ARC Norman Disney & Young H.
Sister to Over Drive (2013.c. 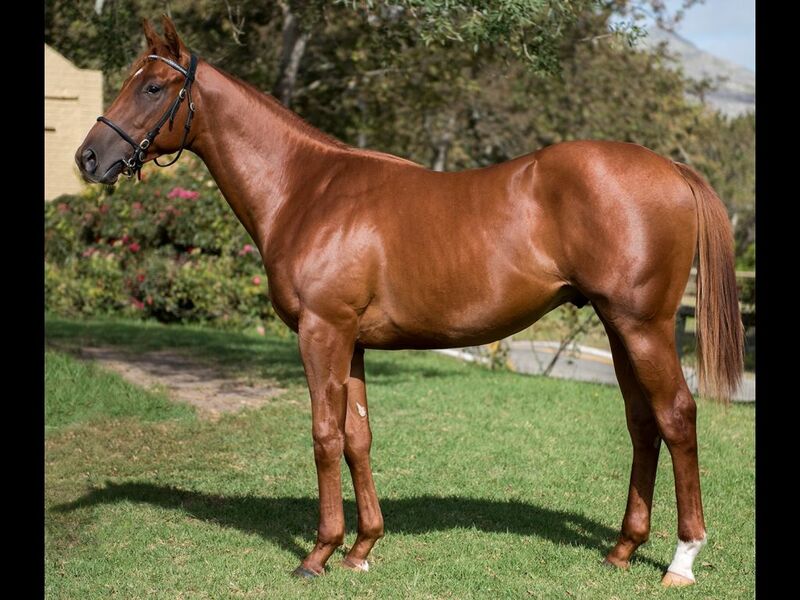 by Var-Timetogoby, by Damascus Gate-La Brea Pits) - 2nd Fairview All to Come Maiden P., 3rd Fairview Tania Koen Attorneys / Jacques Strydom Racing Stable Maiden P.
Half-Brother to El Gallo (2012.c. 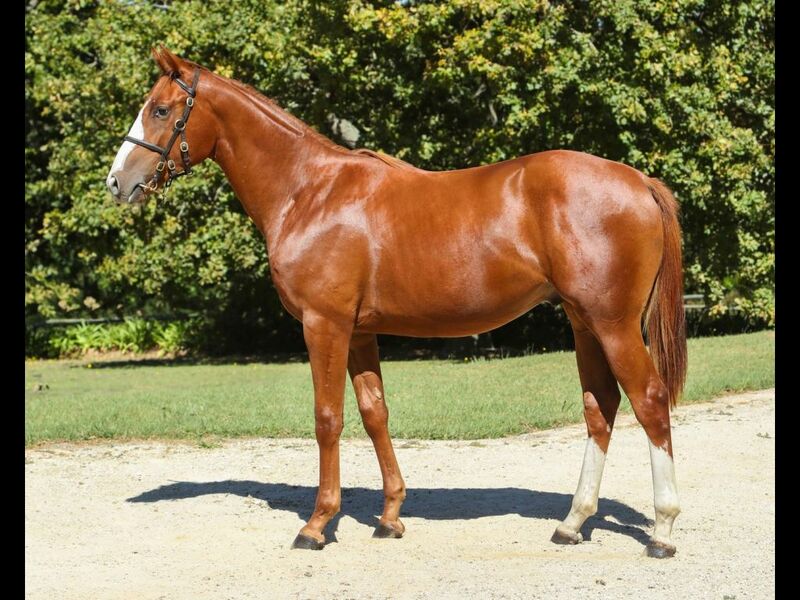 by Toreador-Timpanist, by Beat Hollow-Messila Rose) - 1st Borrowdale Soccer 4 H., 2nd Borrowdale Play Lotto at All Metro Peech and Browne Wholesalers Graduation P.
From the same family as CHENILLE (2011.f. 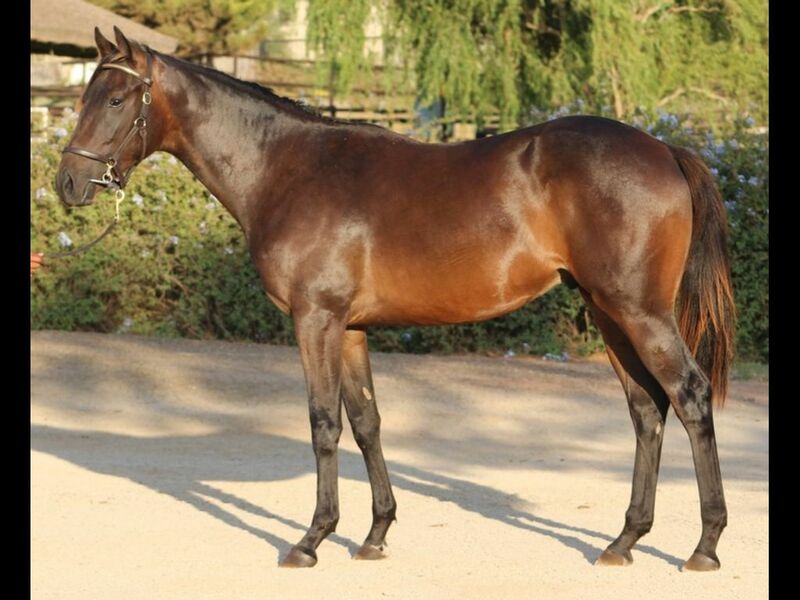 by Pentire-Charmed, by O'Reilly-Seraphic) - 1st ARC Karaka Stayers Cup, 1st ARC Nathans Memorial H.
Half-Sister to Valediction (2012.f. 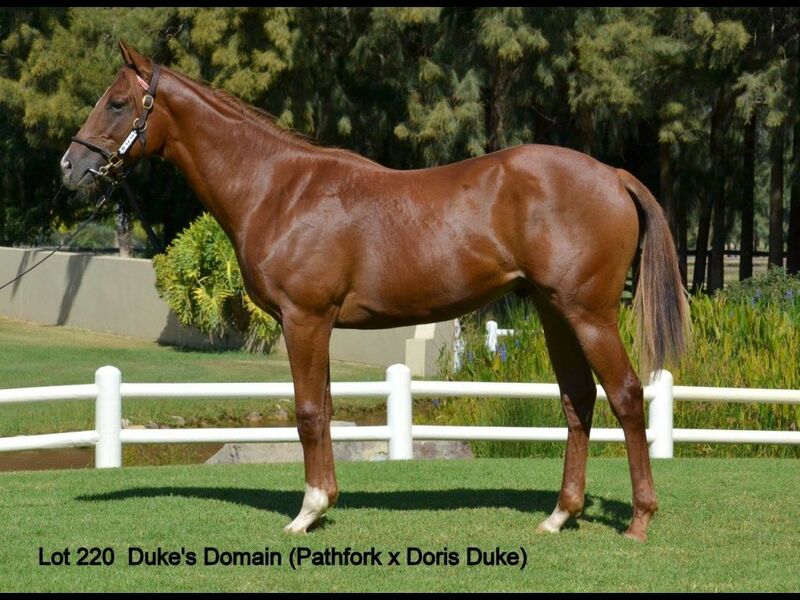 by Captain Al-Val de Vie, by Goldmark-Popular) - 1st Fairview Racing It's a Rush P.
From the same family as FORTUNE FELLA (2011.c. 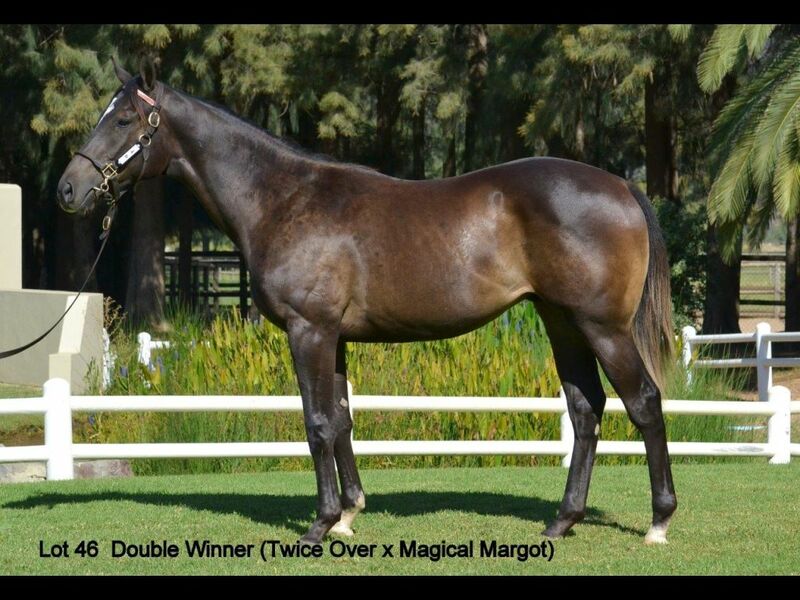 by Mambo in Seattle-Carnival Girl, by Al Mufti-Time Truth) - 1st Turffontein Classic Day 1 April H.
From the same family as GREEN PEPPER (2013.f. 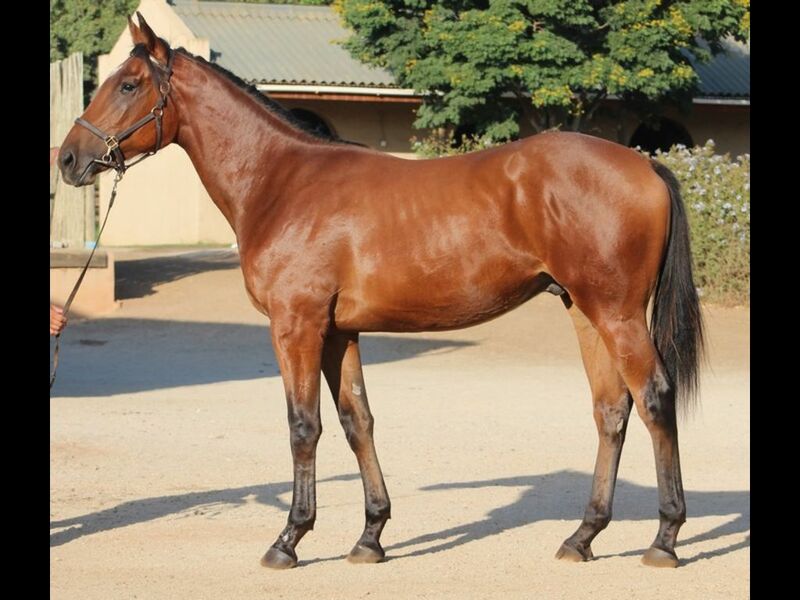 by Gimmethegreenlight-Pimento, by Fort Wood-Batimamselle) - 1st Turffontein Guineas Day in March P.
Half-Sister to Rock of Victory (2012.c. 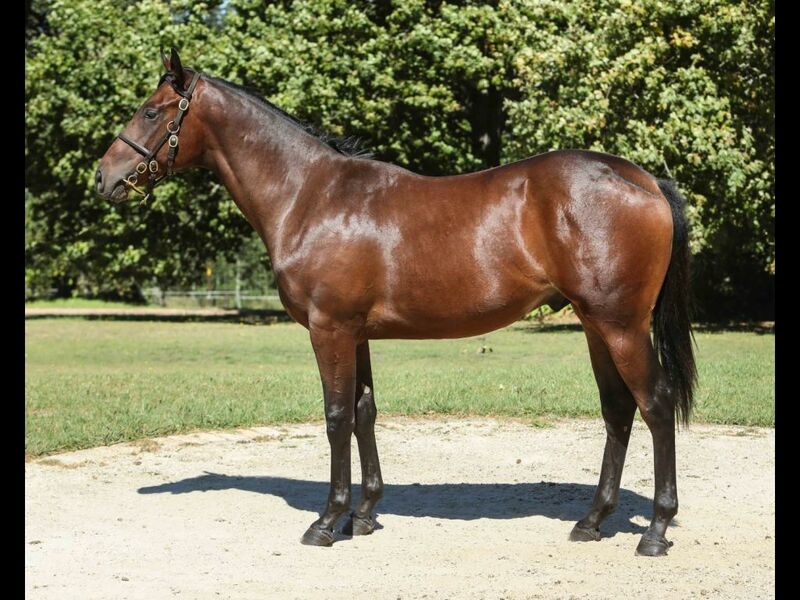 by Seventh Rock-Victory Dance, by Victory Moon-Shadow Dancing) - 3rd Fairview Soccer 6 H.
Half-Sister to Emily Jay (2013.f. 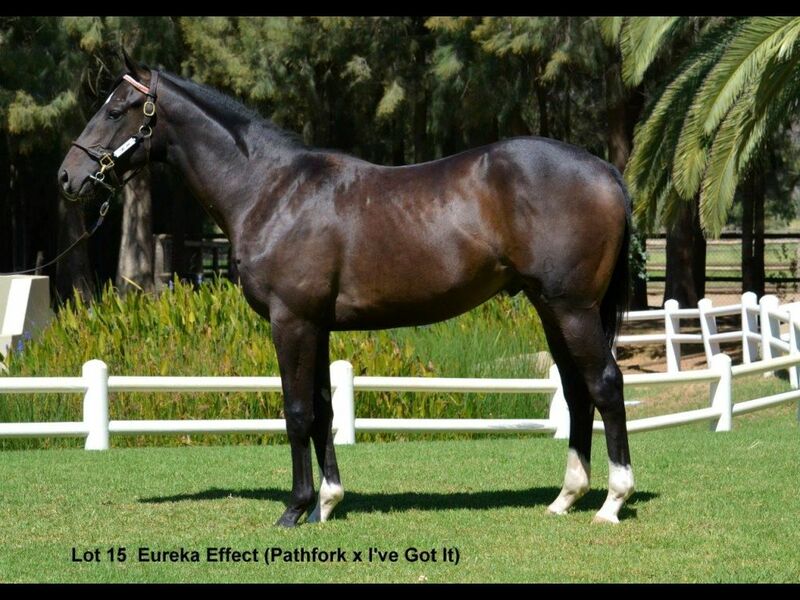 by Jay Peg-West to East, by Western Winter-As Ever) - 3rd Turffontein Joburg Prawn Festival 4 March H.
Half-Brother to Perovskia (2013.c. 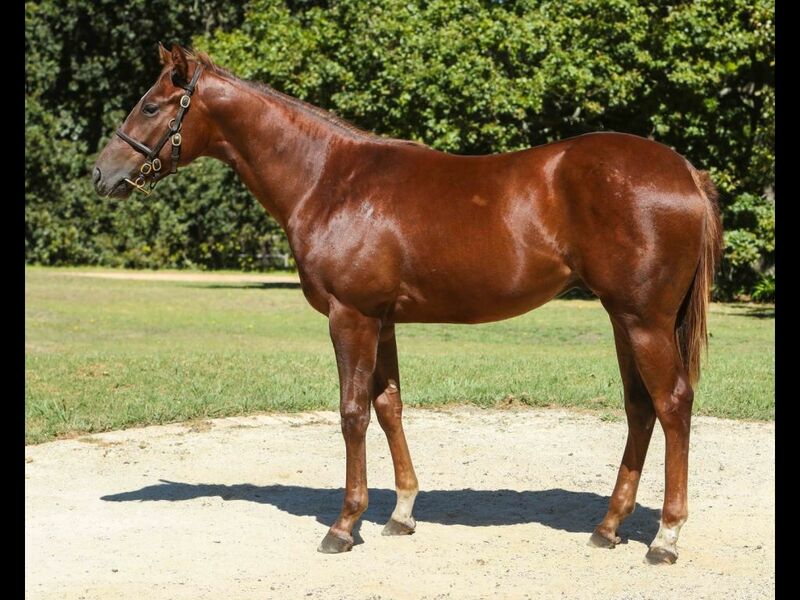 by Russian Sage-What a Gal, by Qui Danzig-Early Fun) - 1st Kenilworth Kinney's Maiden P.
Out of a sibling to Green Top (2014.f. 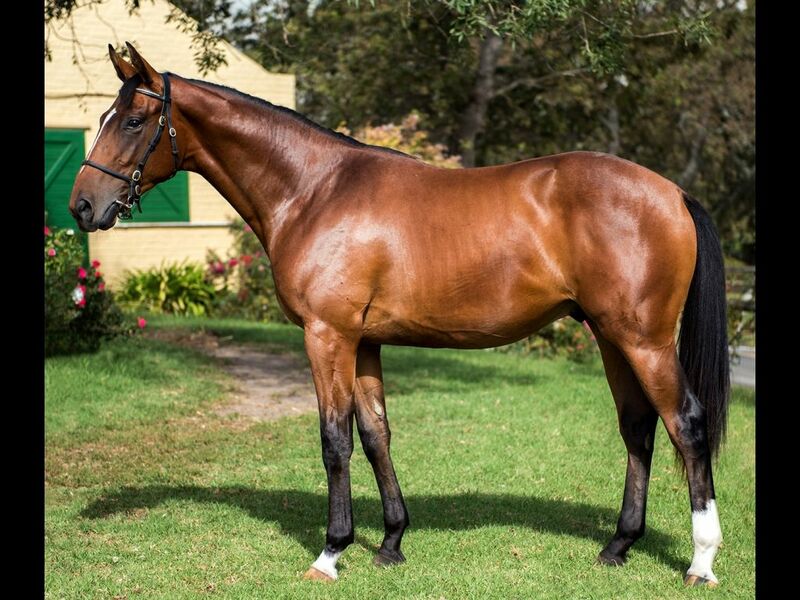 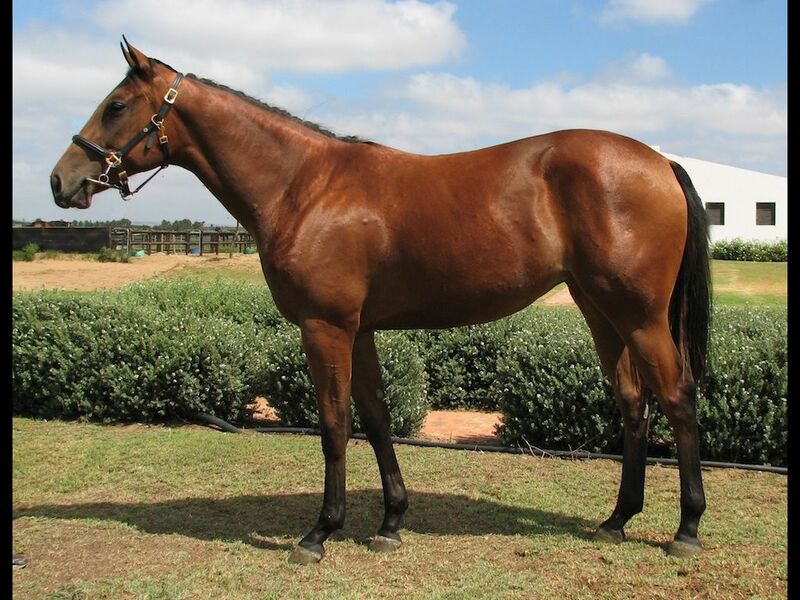 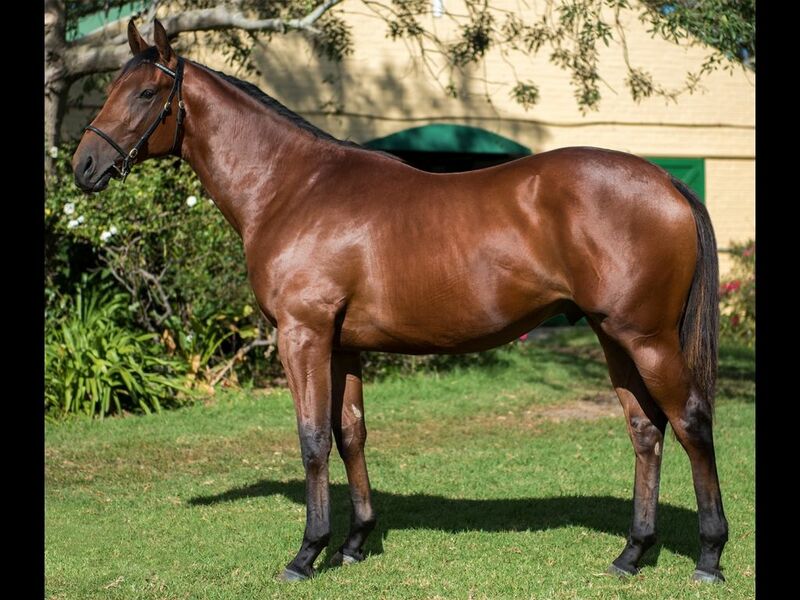 by Gimmethegreenlight-Caughtintheslips, by Caesour-Going for Glory) - 1st Turffontein Welcome to Turffontein Maiden Juvenile P.
Half-Sister to Trade Emblem (2009.g. 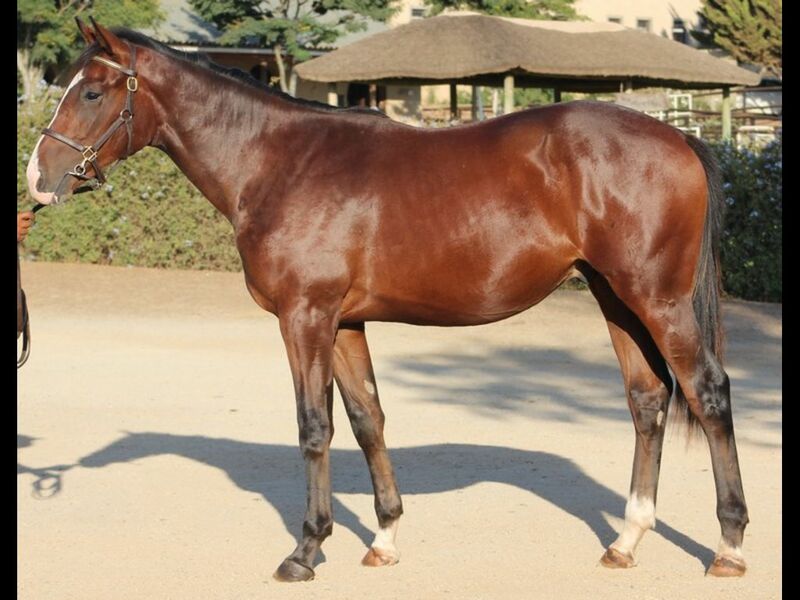 by National Emblem-Winter Conquest, by Western Winter-Imperial Conquest) - 2nd Griqualand Tab H.
Half-Brother to Desert Rhythm (2014.f. 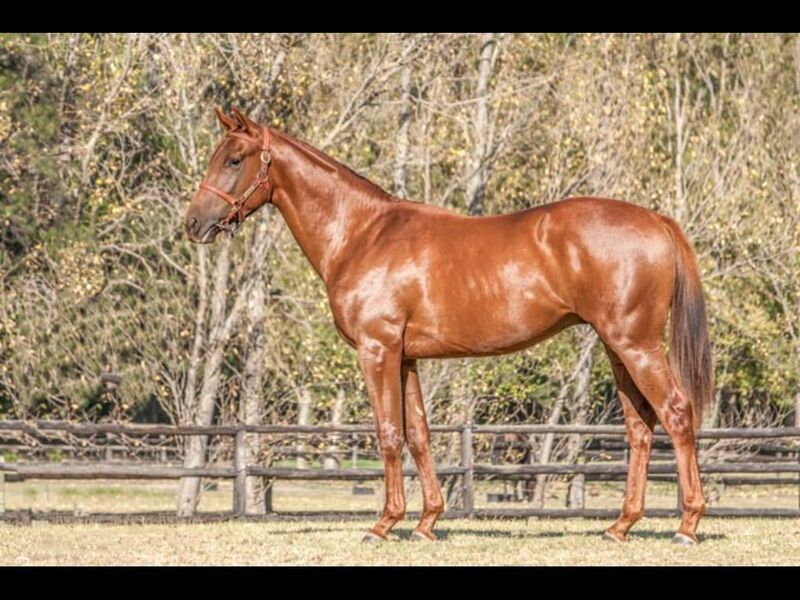 by Mambo in Seattle-Al Zahra, by Al Mufti-Blushing Dove) - 1st Vaal TC Guineas Day in March Maiden Juvenile P.
Brother to One Away (2012.c. 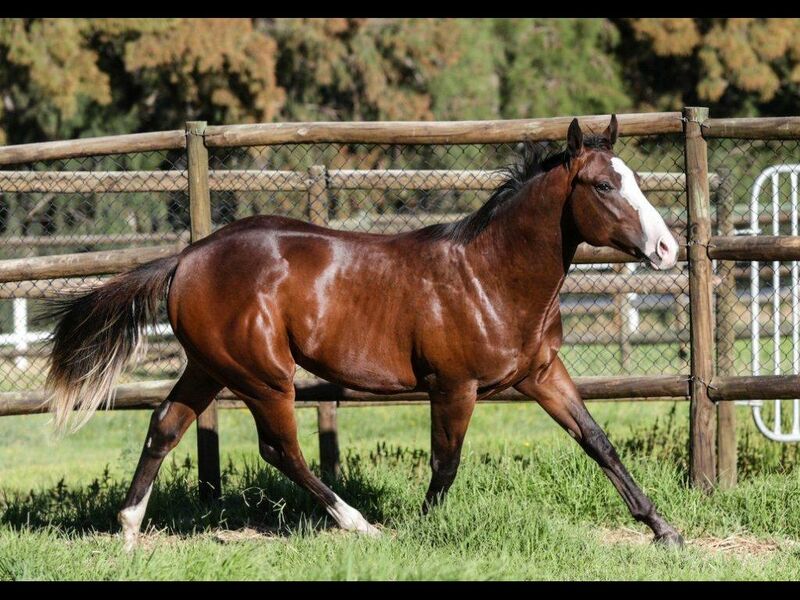 by Warm White Night-Angel Cake, by Kabool-Corn Flower) - 1st Fairview Piere Strydom and Gavin Venter H.
Half-Brother to Gypsy Queen (2014.f. 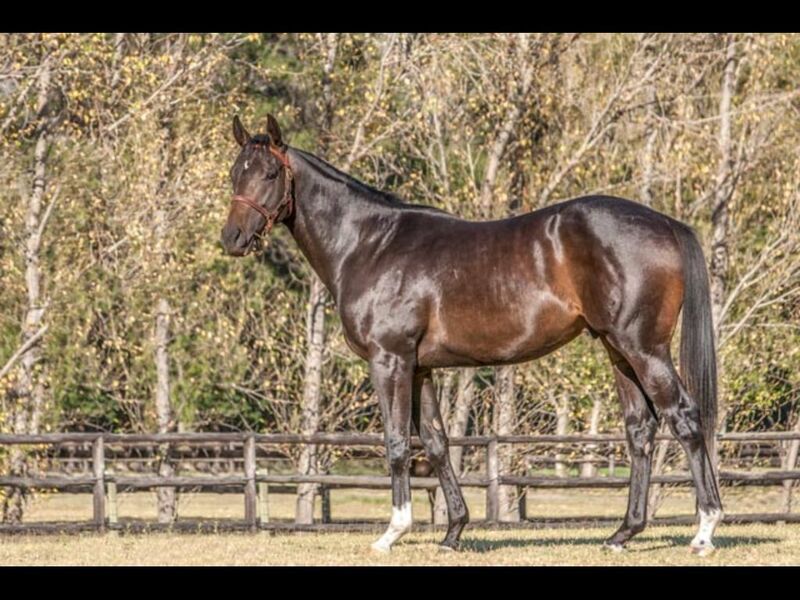 by Gitano Hernando-Autograf, by Becker-Sharp Ledge) - 2nd Greyville Download the Tabgold Information App Juvenile P.
From the same family as Placido (2009.g. 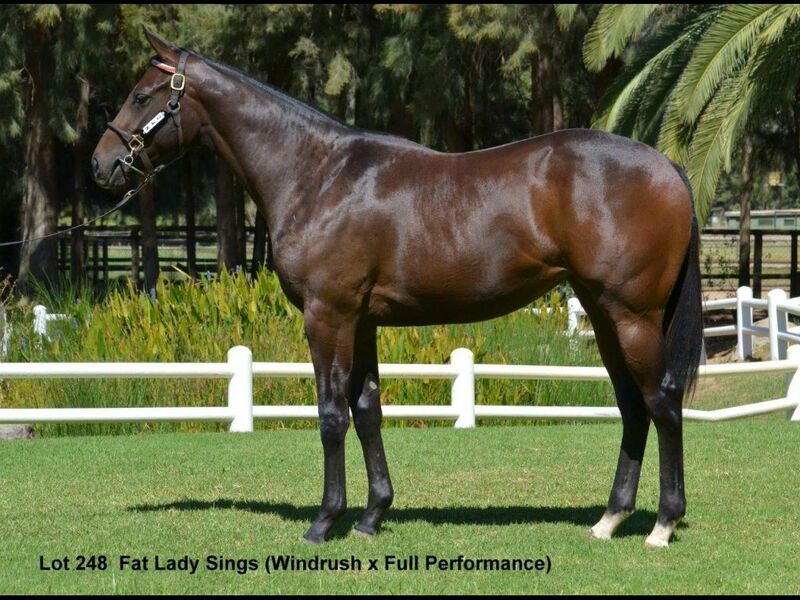 by Miesque's Approval-Lady Gray, by Badger Land-Stepping Stone) - 1st Fairview Next Racemeeting Friday H.
Half-Brother to Victoria College (2013.f. 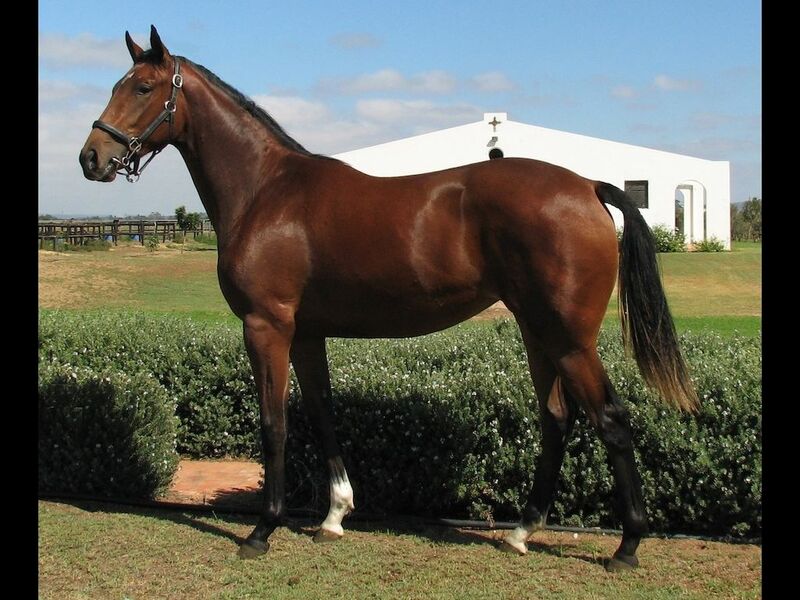 by Captain Al-Bridget's Academy, by Royal Academy-Pokey Hill) - 2nd Fairview Rugby 5 Novice P.
Half-Brother to Arran Isles (2013.f. 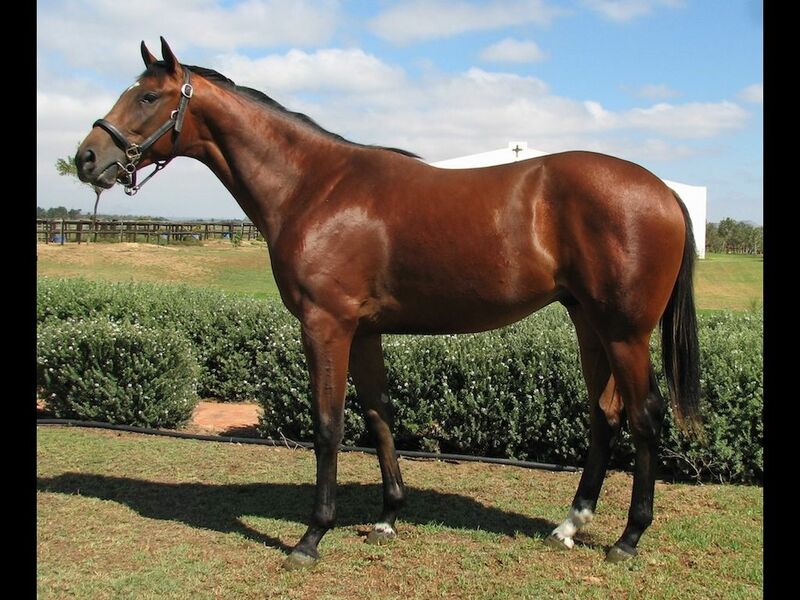 by King's Apostle-Captain's Catch, by Captain Al-Brilliant Brook) - 2nd Greyville Entyce Beverage Maiden P.
Half-Brother to Rawedge (2011.c. 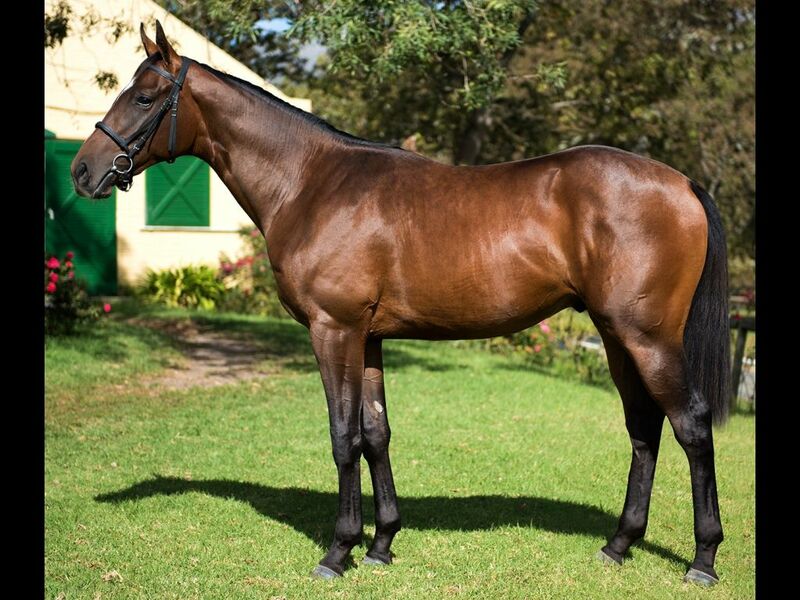 by Ravishing-Carlas Wisdom, by Jallad-Dot Dot Dash) - 2nd Borrowdale Soccer 6 H.
Out of a sibling to Cipher (2013.c. 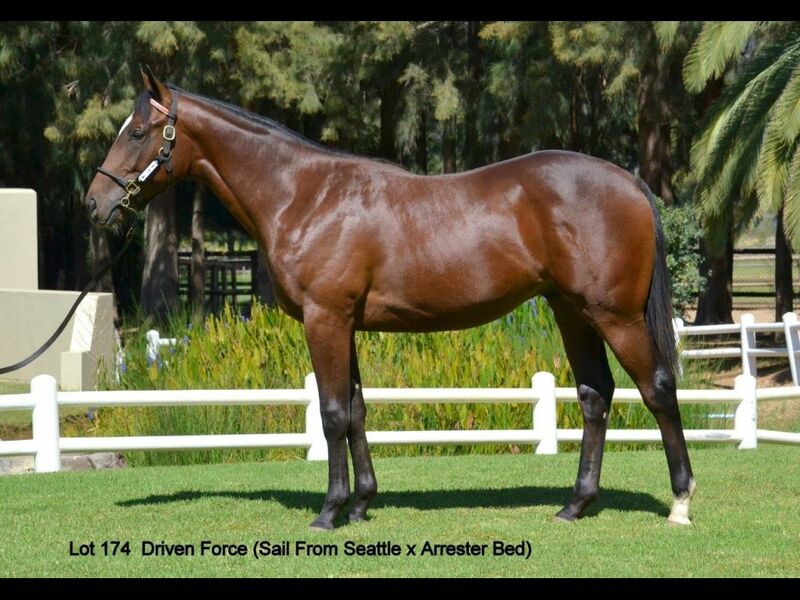 by Overlord-Dot Dot Dash, by Desert Team-Triple Tempo) - 1st Greyville Itsarush.co.za Maiden P.
Half-Sister to Chennai Spice (2012.c. 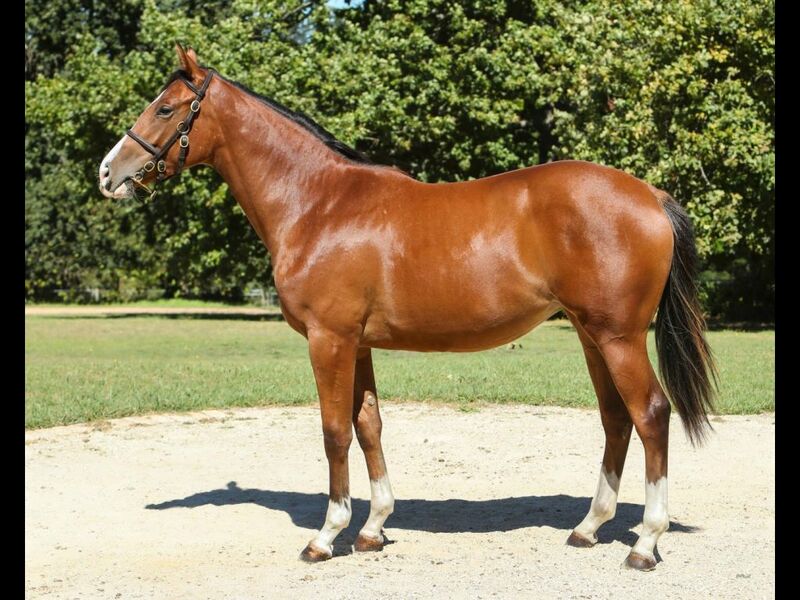 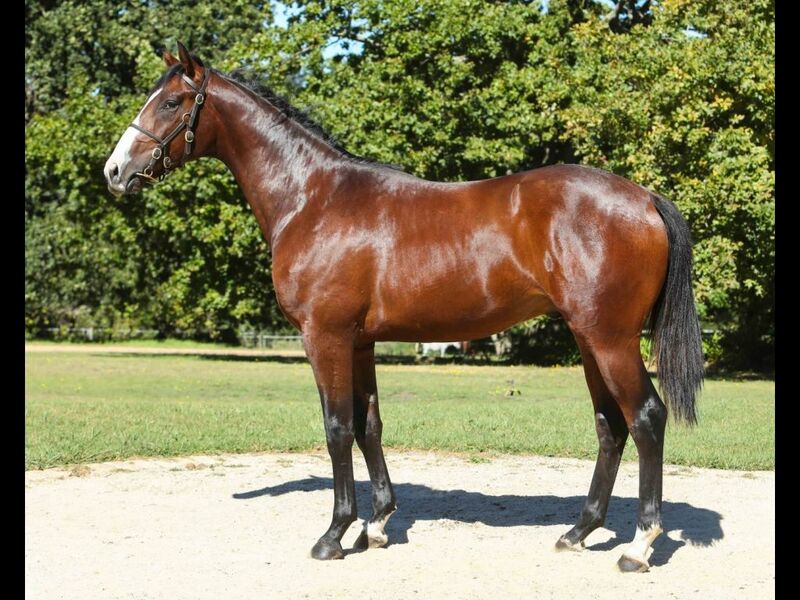 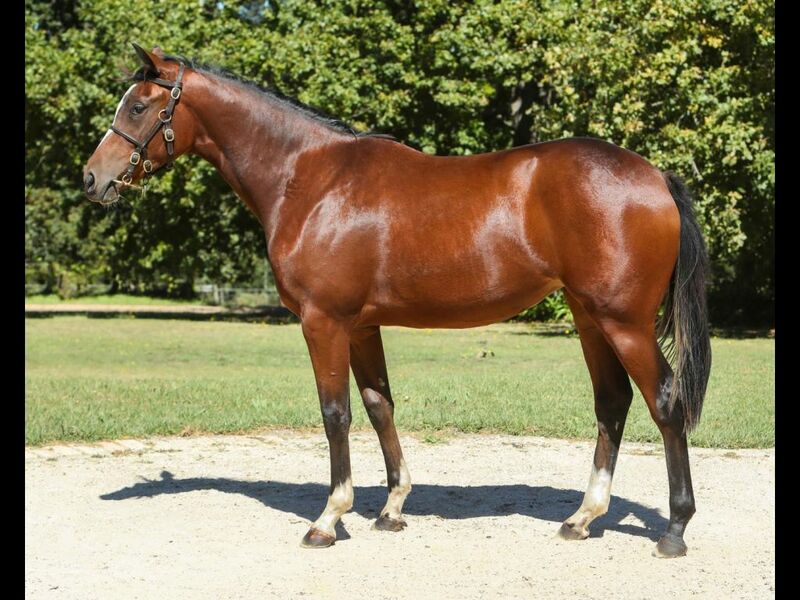 by Jay Peg-Chantal, by National Assembly-Lupine Lady) - 2nd Fairview Soccer 6 H.
Half-Sister to Minnaroom (2012.c. 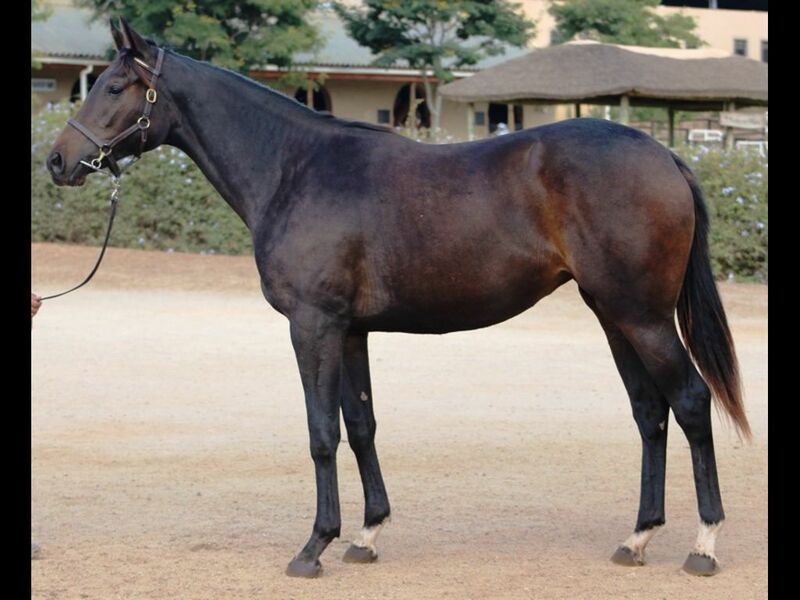 by Black Minnaloushe-Chat Room, by Fort Wood-Cyber Cento) - 3rd Fairview Next Racemeeting Friday H.
Half-Sister to Heptagon (2011.c. 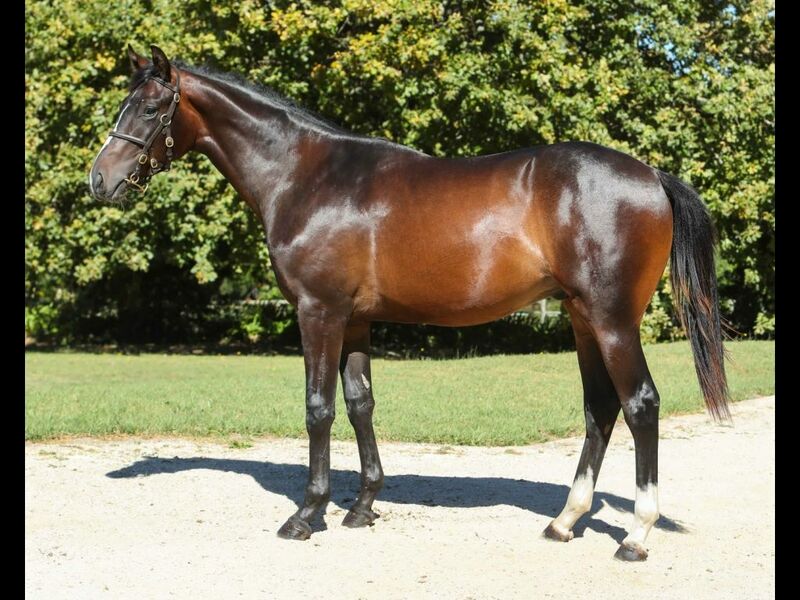 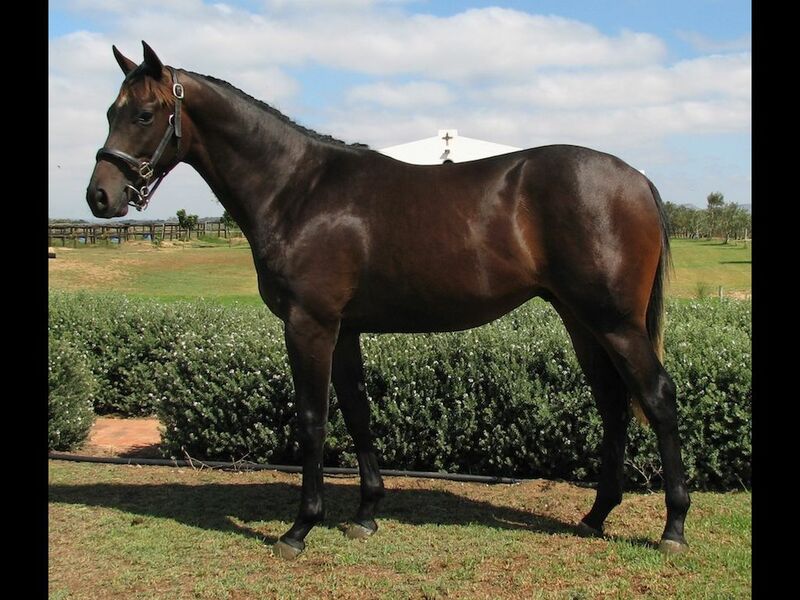 by Seventh Rock-Child Model, by Model Man-Child of Grace) - 2nd Greyville Tbwa H., 3rd Greyville Soccer 10 H.
Half-Brother to Preoccupation (2011.f. 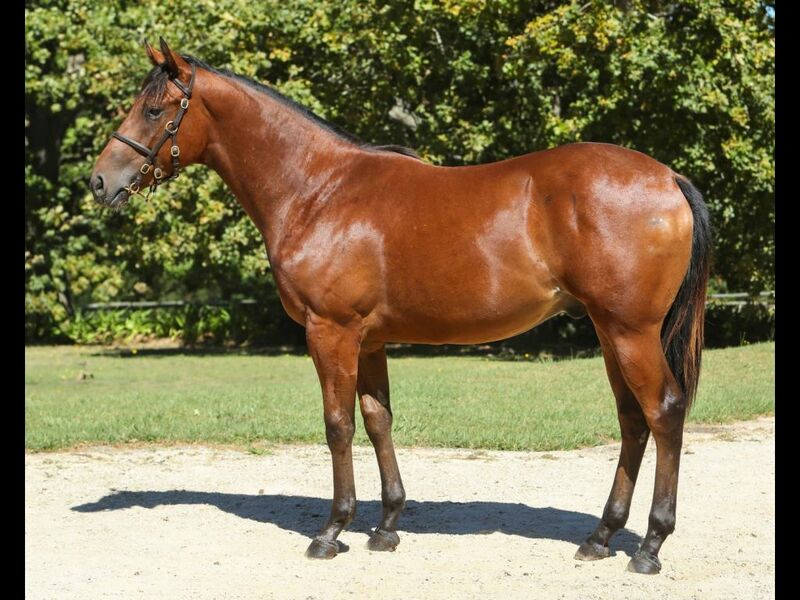 by Snitzel-Cool Dreamer, by Encosta de Lago-Dreaming of You) - 3rd Fairview Racing Association Graduation P.
Half-Sister to Y'Retheone (2012.c. 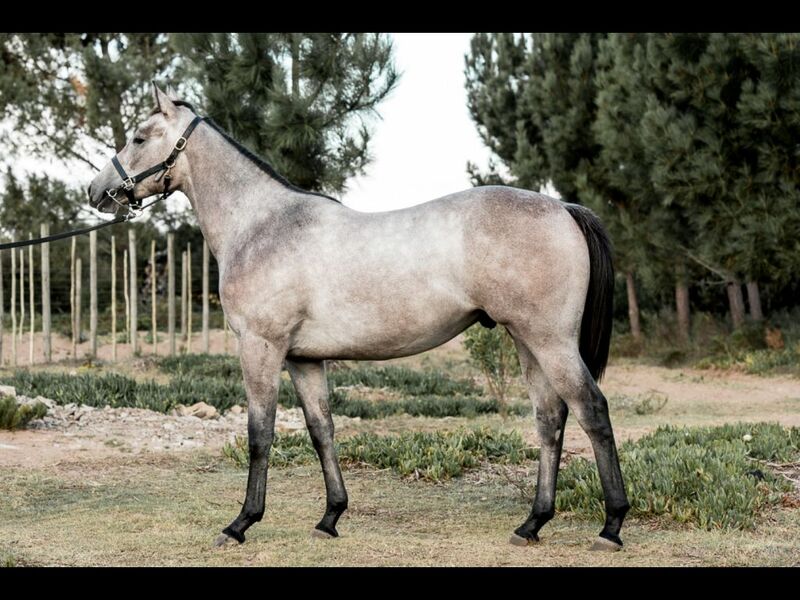 by Rebel King-Countervail, by Count Dubois-Crystal Charm) - 2nd Greyville Gary Scott H.
Half-Brother to Light Indigo (2013.f. 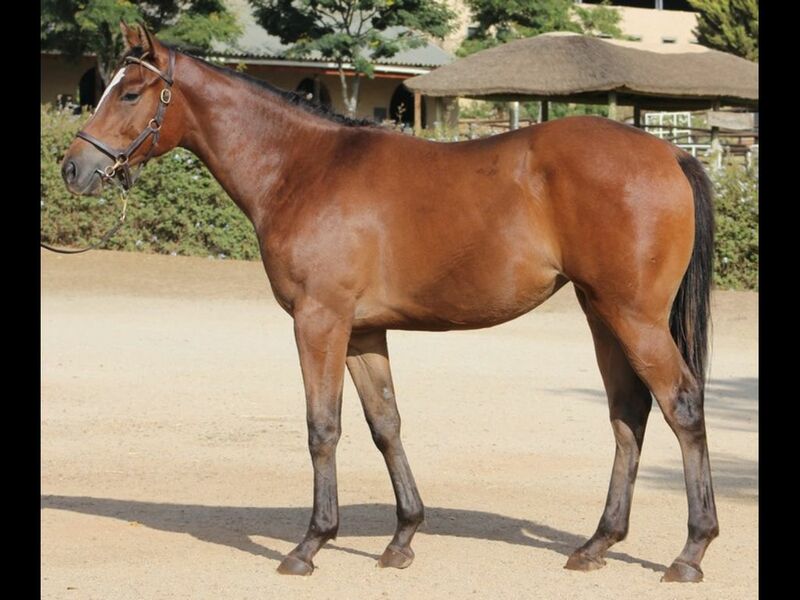 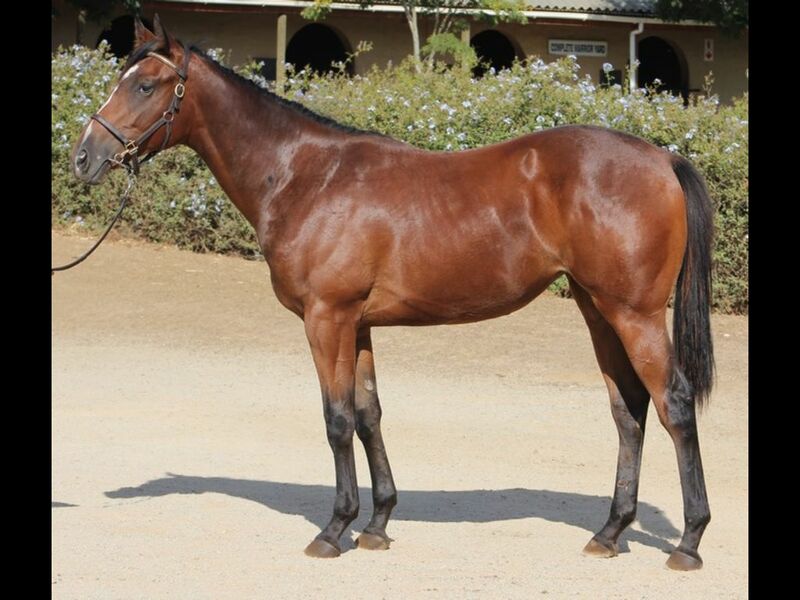 by Judpot-Electric Indigo, by Indigo Magic-Royal Habit) - 2nd Turffontein Maiden P.
Half-Sister to Brave Knight (2012.c. 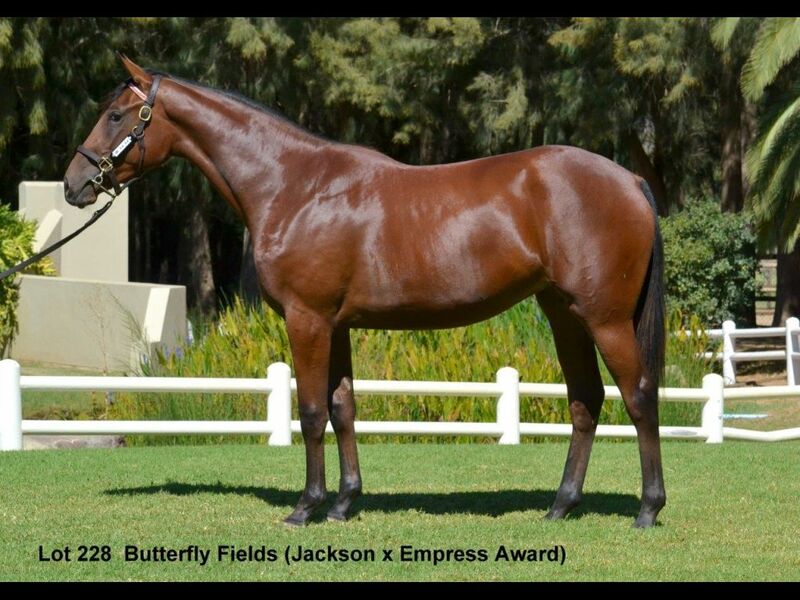 by Great Britain-Empress Award, by Joshua Dancer-Fabulous Fov) - 1st Greyville OTT Voucher Maiden P.
Half-Sister to Esteemal (2014.f. 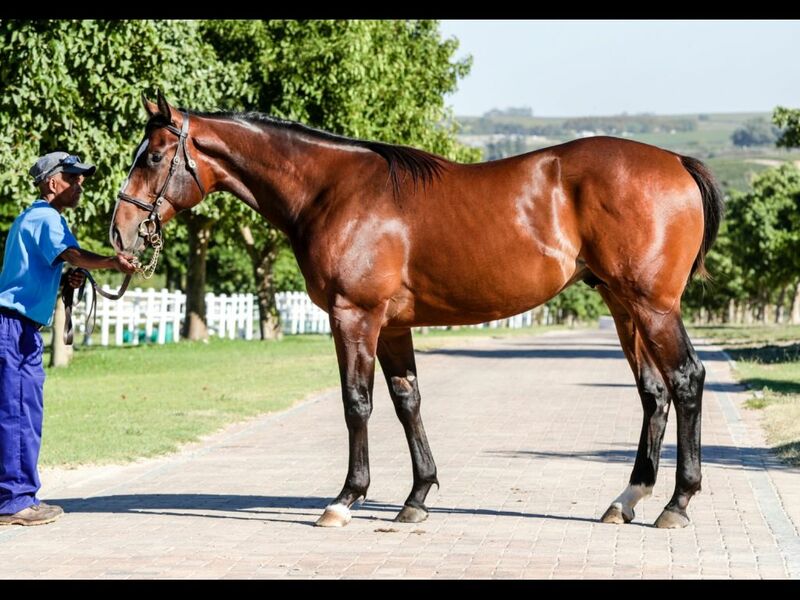 by Captain Al-Esprit, by Fort Wood-Ever Seeking) - 3rd Kenilworth Biffs Big 6 Maiden Juvenile P.
Half-Brother to Out My Way (2011.c. 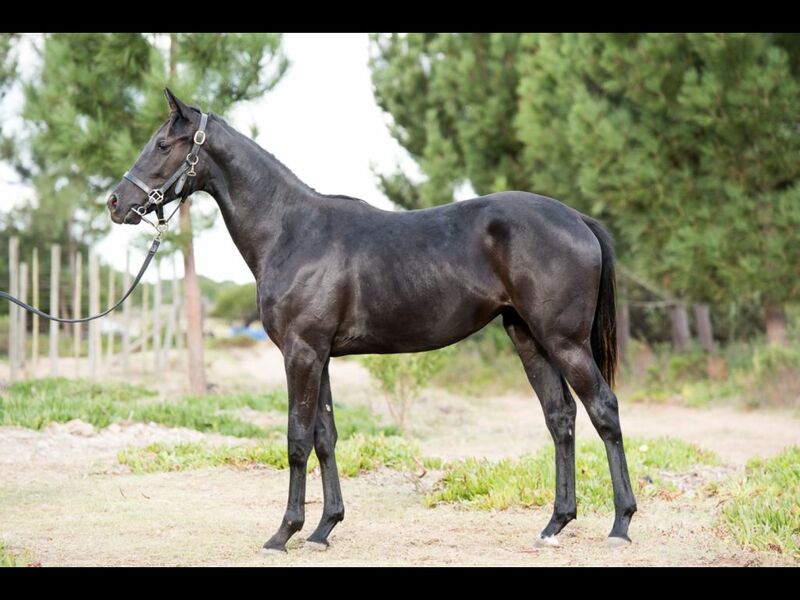 by Way West-Ex Unitate Vires, by National Assembly-Star Wars) - 3rd Greyville Coalvest Group H.
Half-Sister to JOAN RANGER (2012.f. 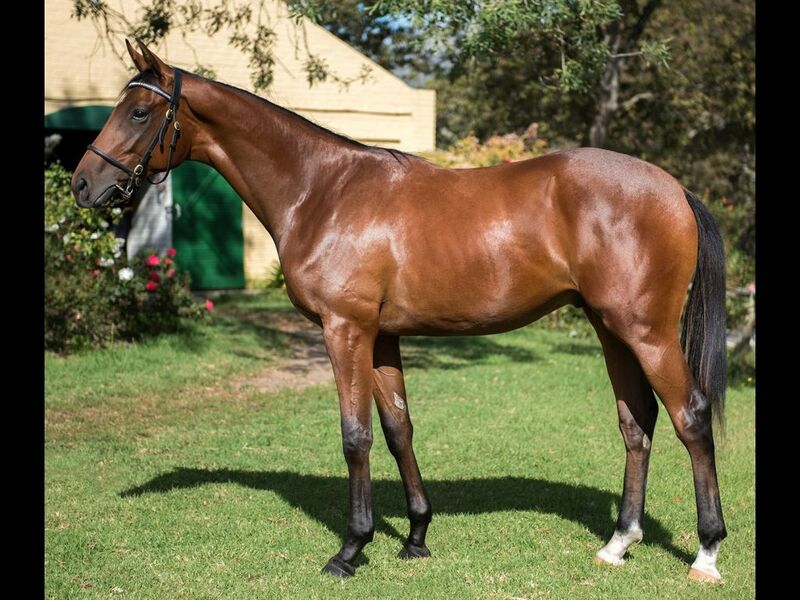 by Horse Chestnut-Fashion Edition, by Rambo Dancer-Shopping Around) - 2nd Turffontein Guineas Day in March P.
Half-Brother to Restless Rogue (2013.c. 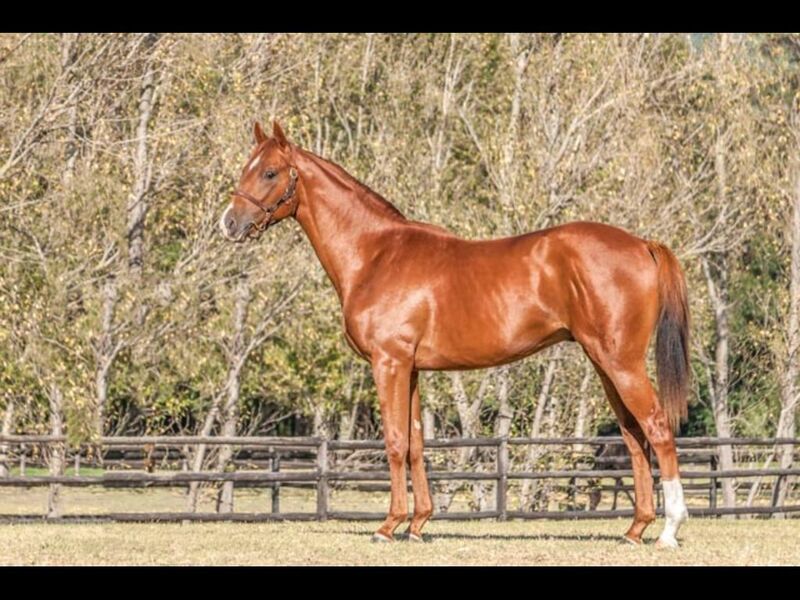 by Warm White Night-Fashion Queen, by Spectrum-Red Growler) - 3rd Greyville Track and Ball Gaming H.
From the same family as Winter Prince (2012.c. 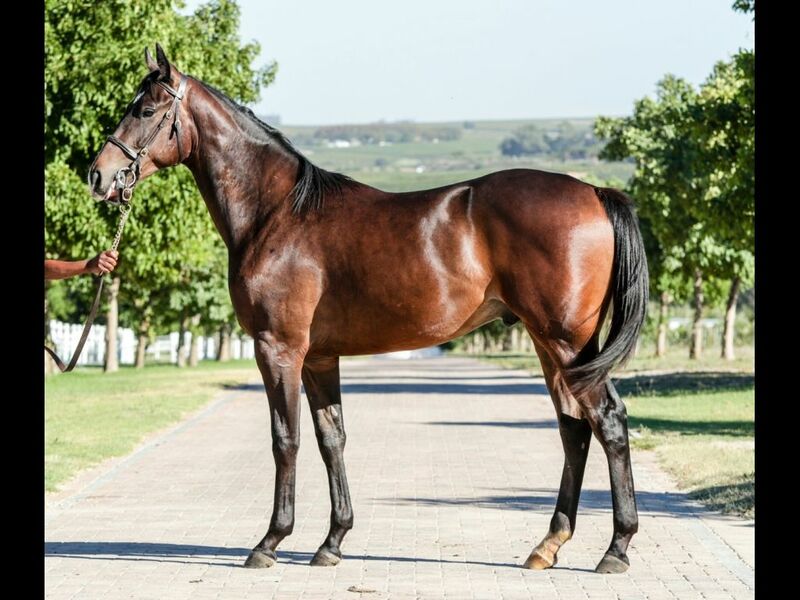 by Western Winter-Imperious Sue, by Northern Guest-Regal Blue) - 1st Kenilworth Richmark Holdings H.
Half-Sister to Miss Stake (2013.f. 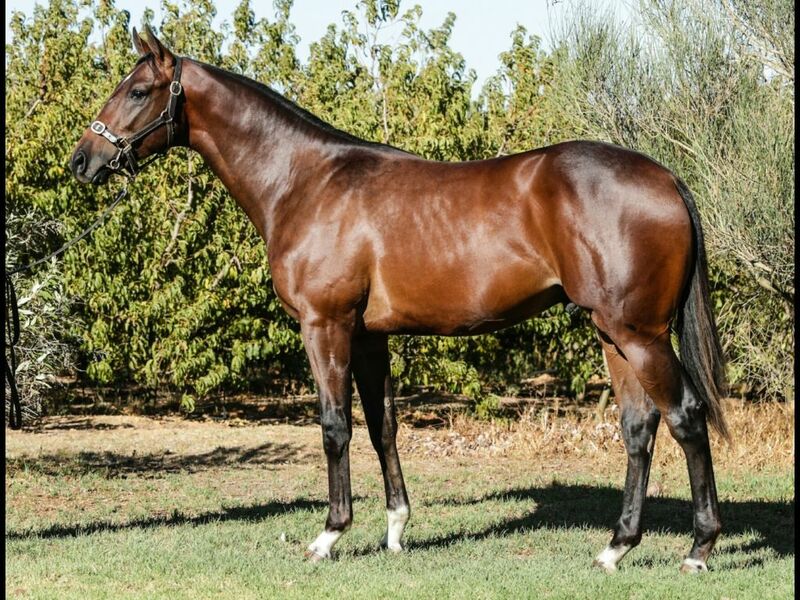 by Dan de Lago-Festival Fire, by Magic Albert-Karayib) - 1st Kenilworth Kepu Trading Maiden P.
Half-Brother to Ho'oponopono (2010.c. 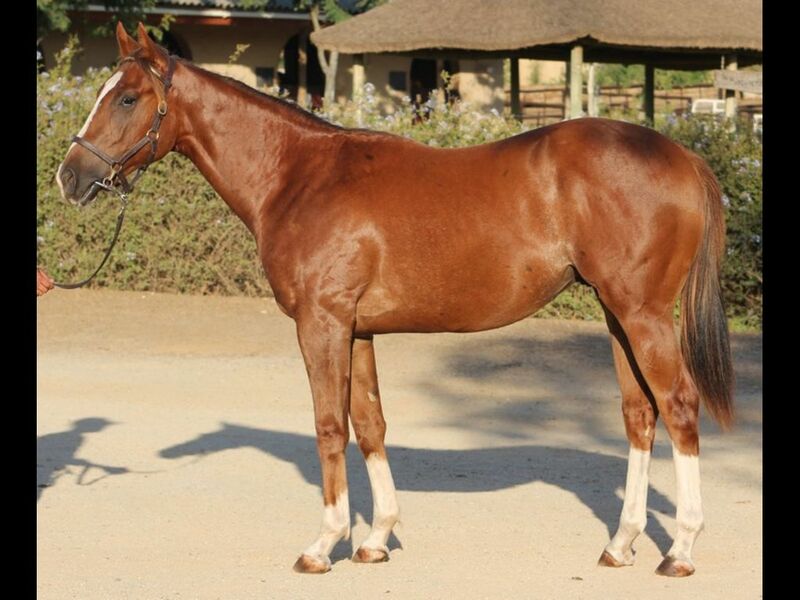 by Horse Chestnut-Gem Quality, by Special Preview-Amber Gem) - 3rd Greyville All to Come H.
Half-Sister to Royal Ginger (2012.c. 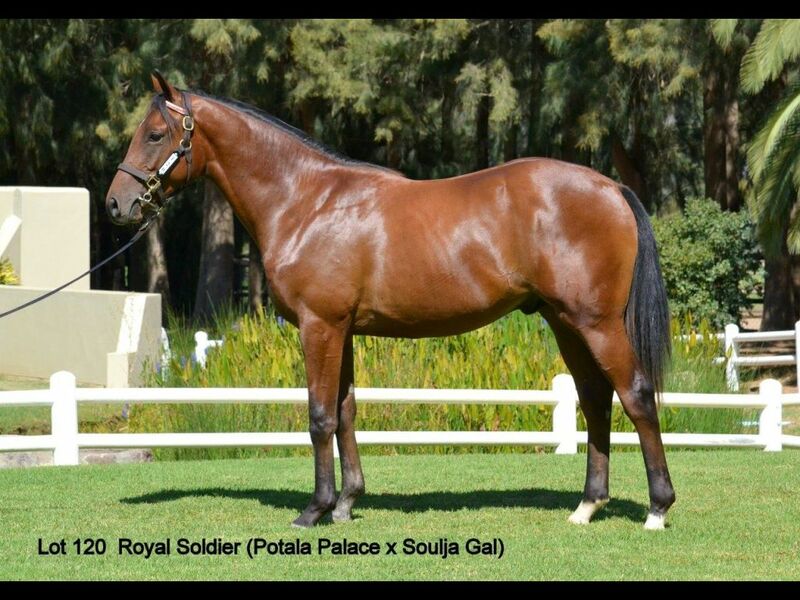 by Royal Air Force-Ginger Hill, by Western Winter-Donya) - 1st Kenilworth Itsarush.co.za H., 2nd Kenilworth Breco Seafoods H.